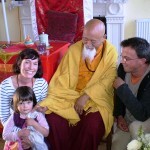 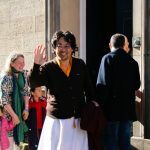 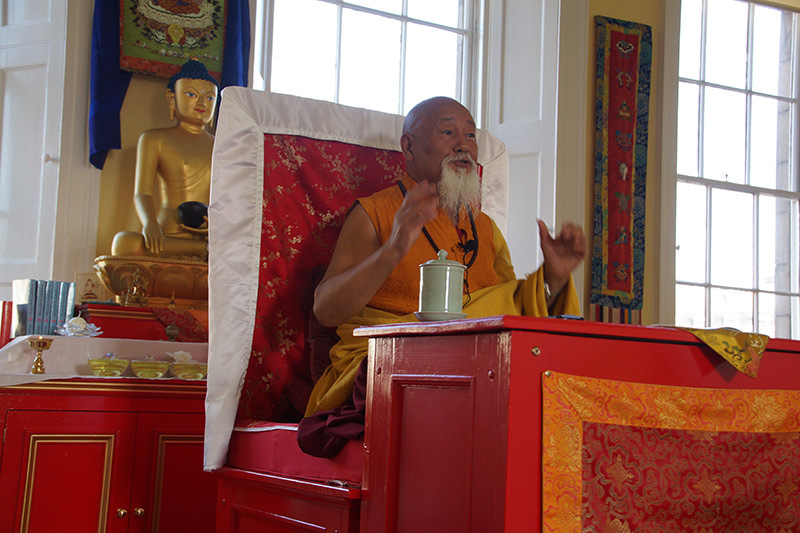 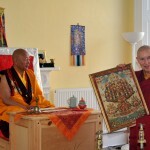 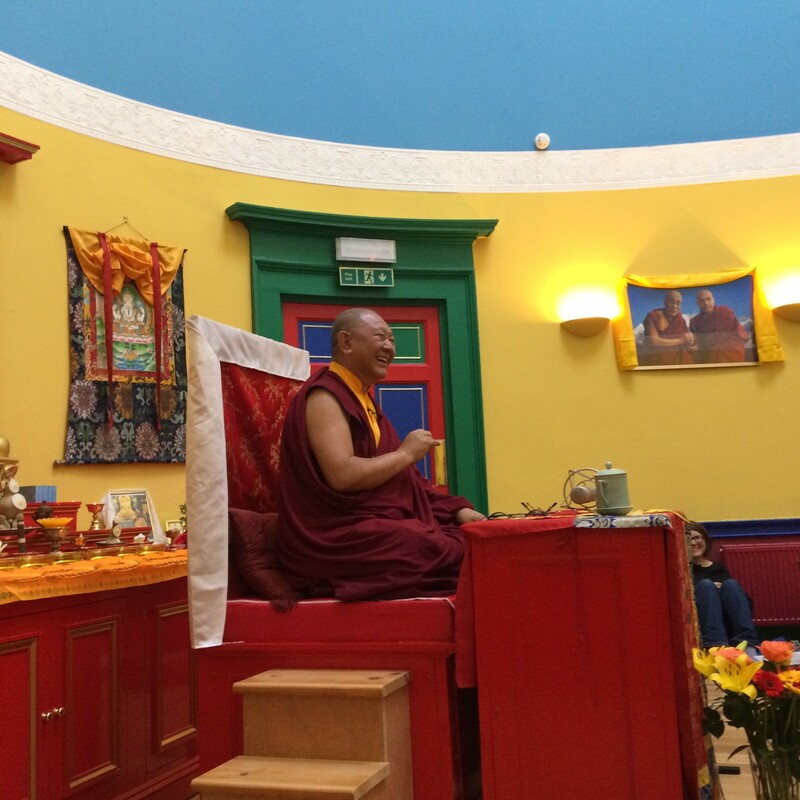 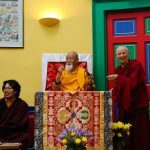 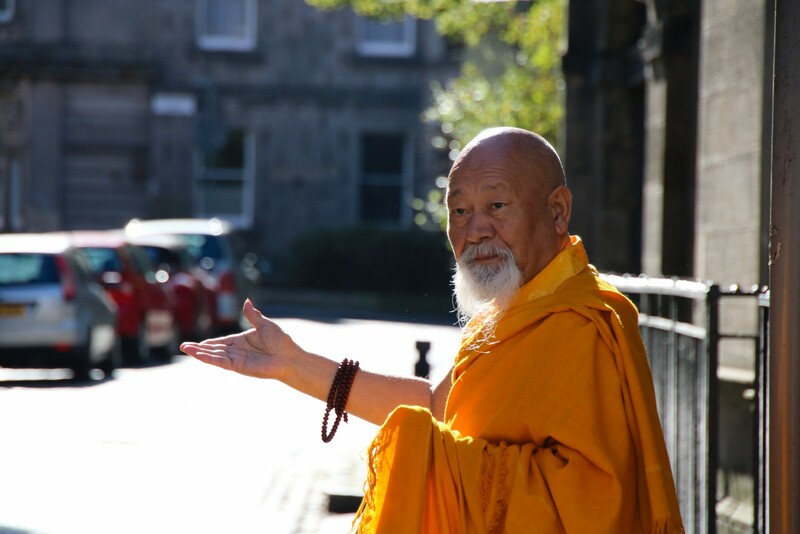 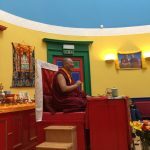 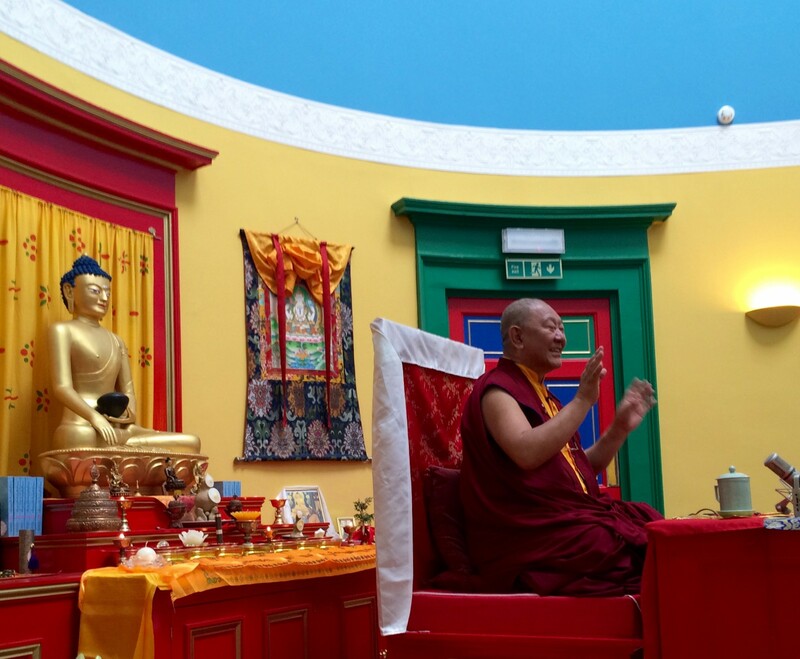 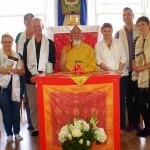 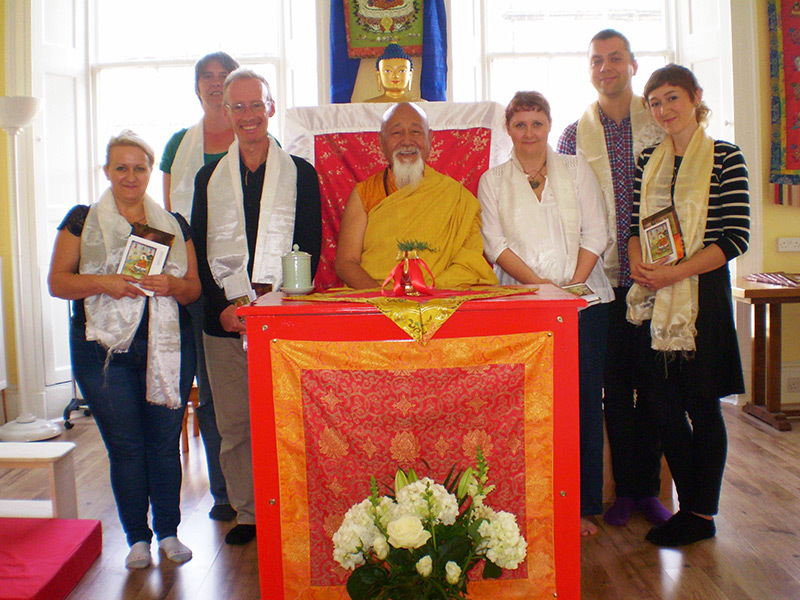 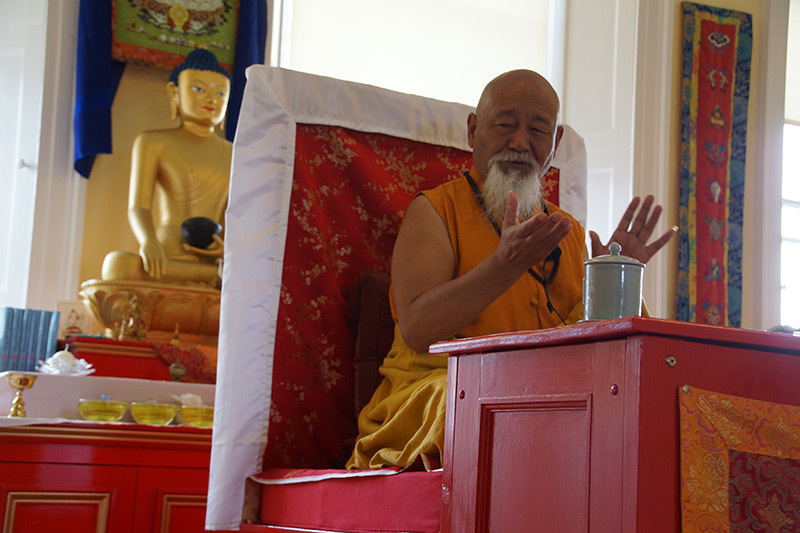 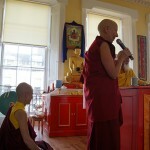 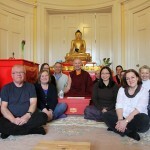 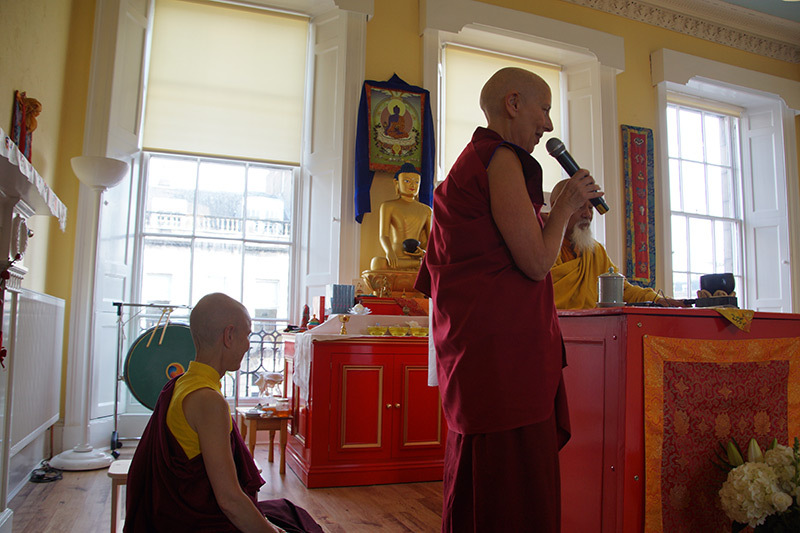 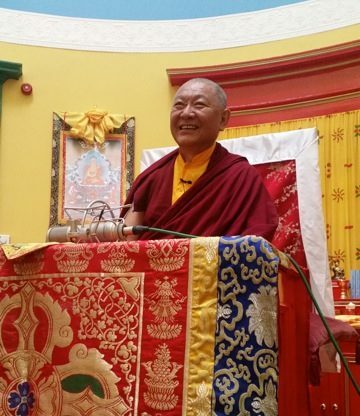 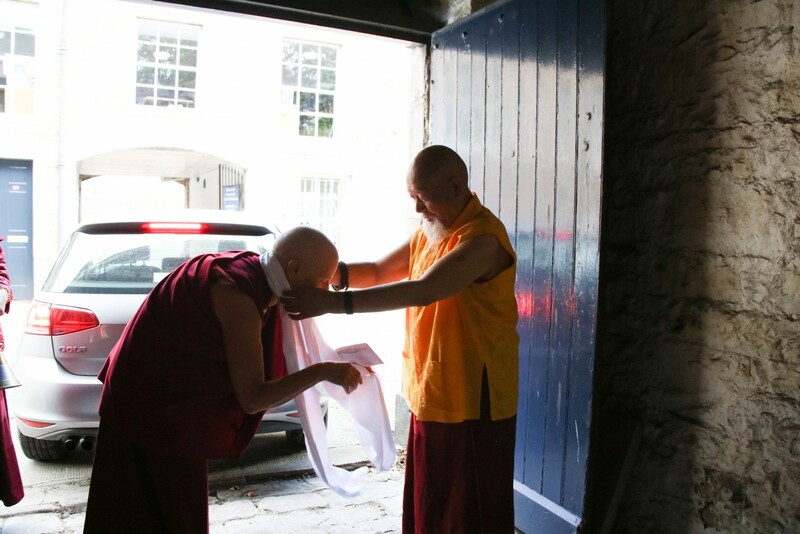 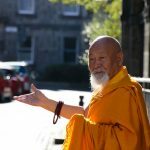 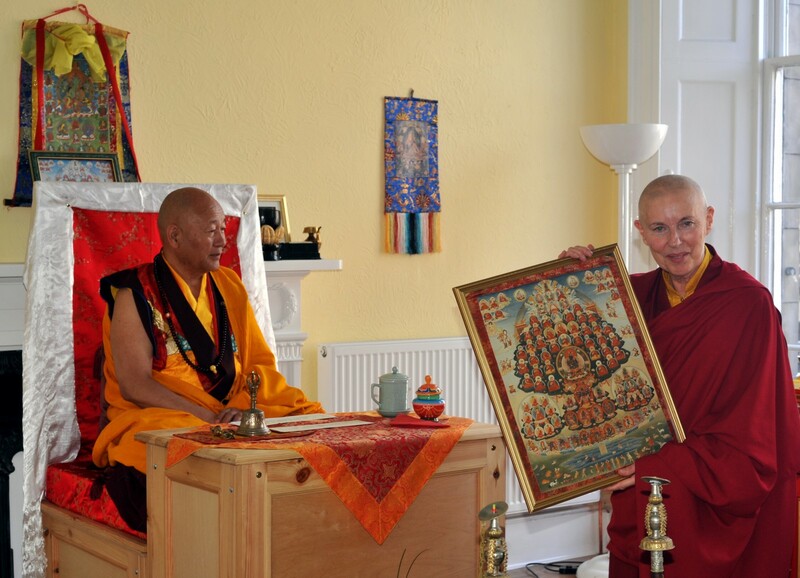 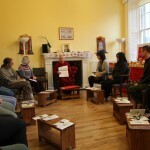 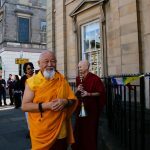 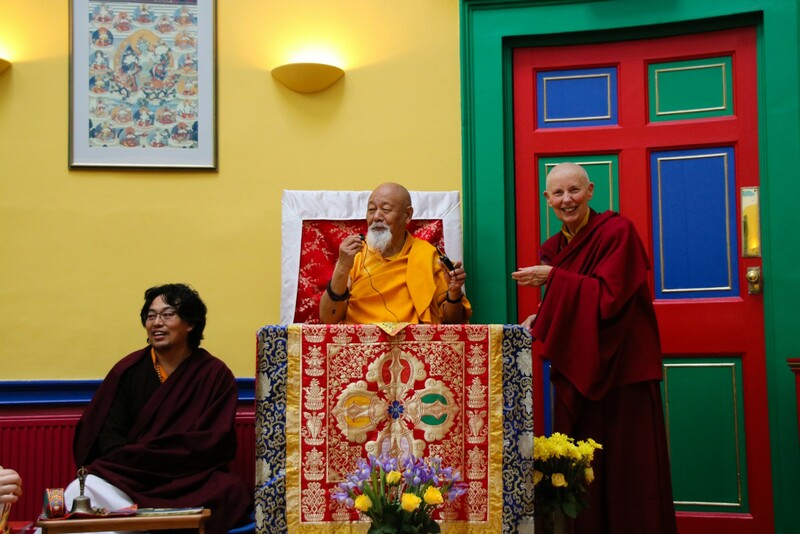 Drupon Rinpoche giving precious teachings at KSD Edinburgh. 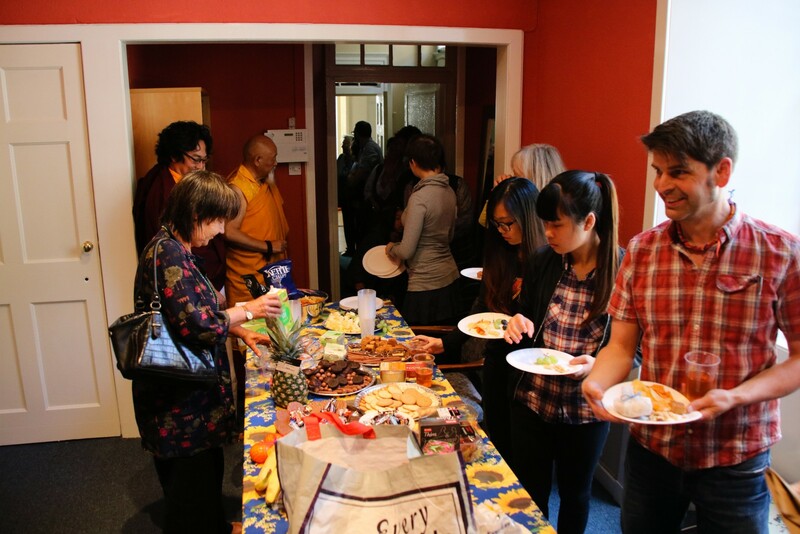 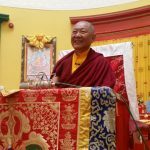 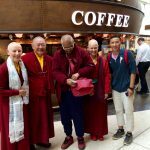 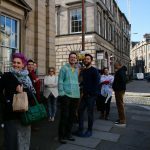 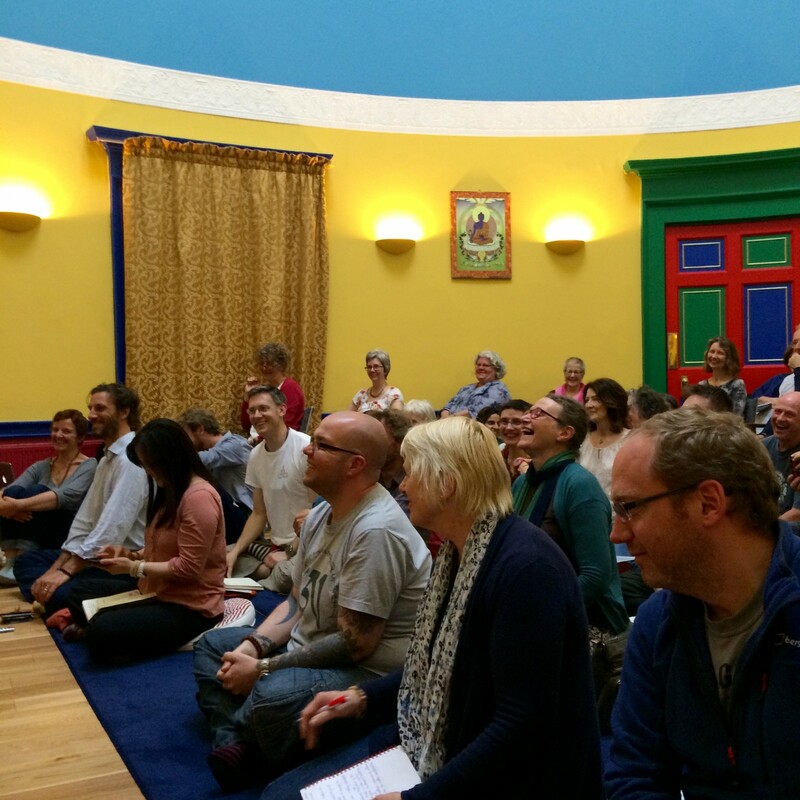 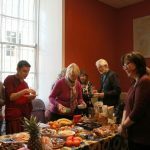 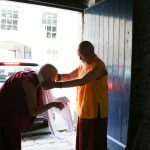 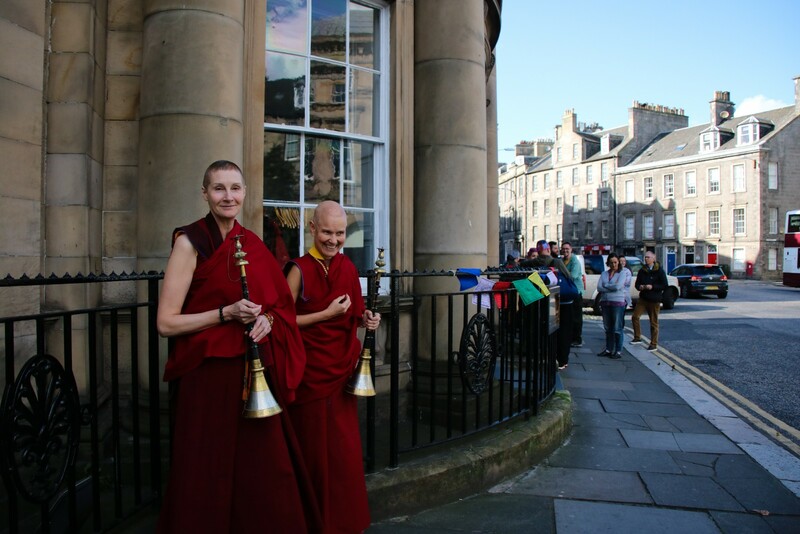 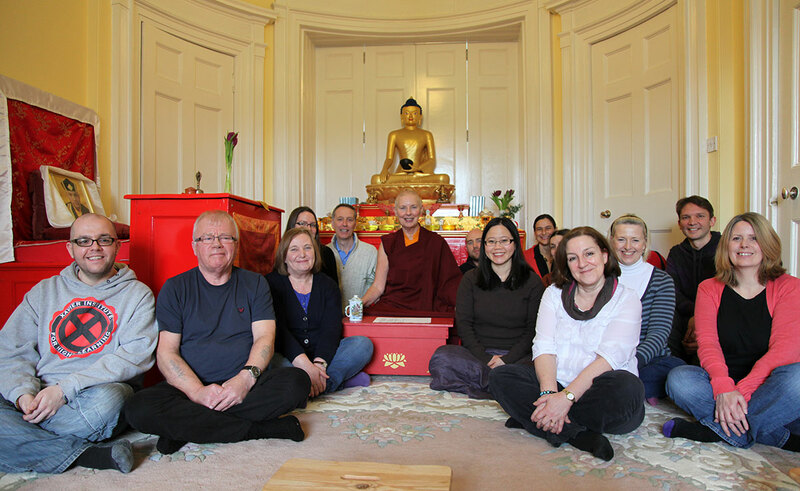 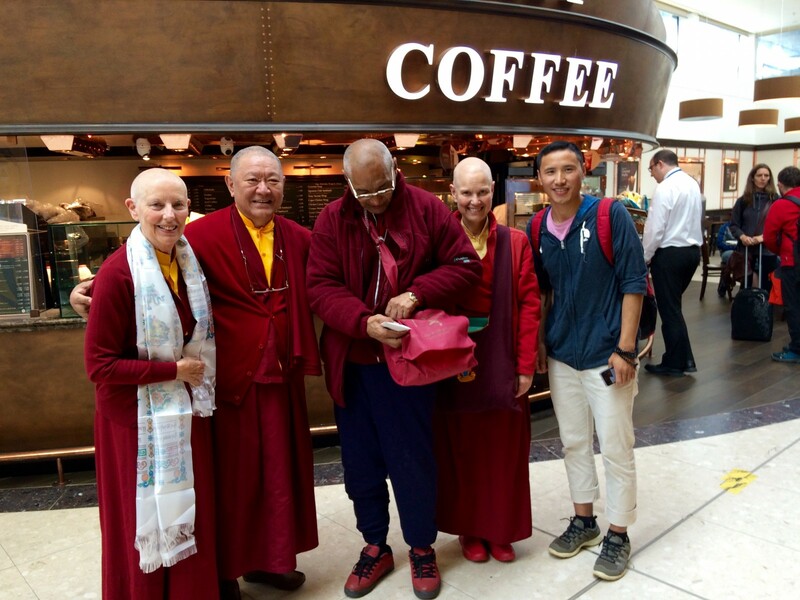 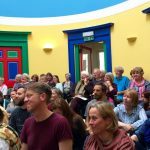 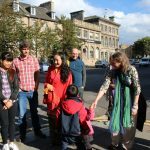 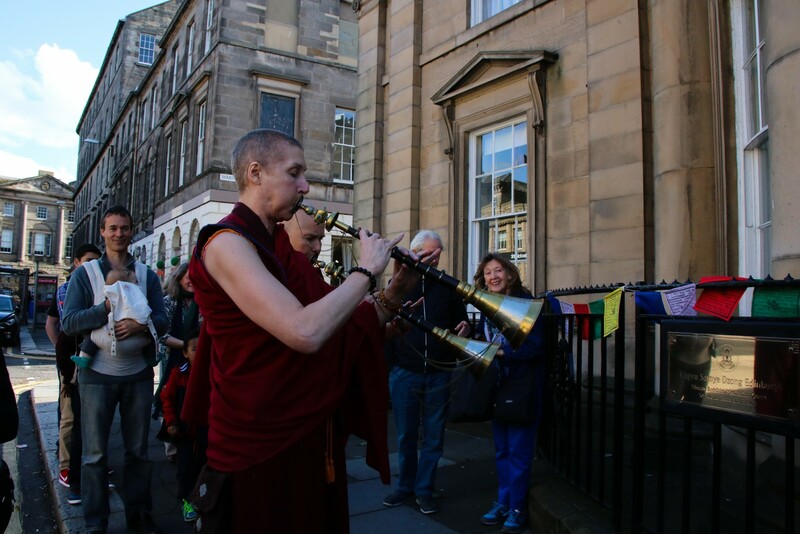 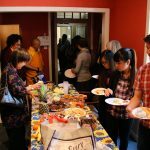 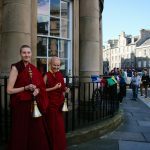 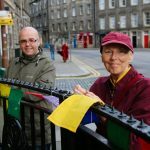 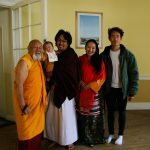 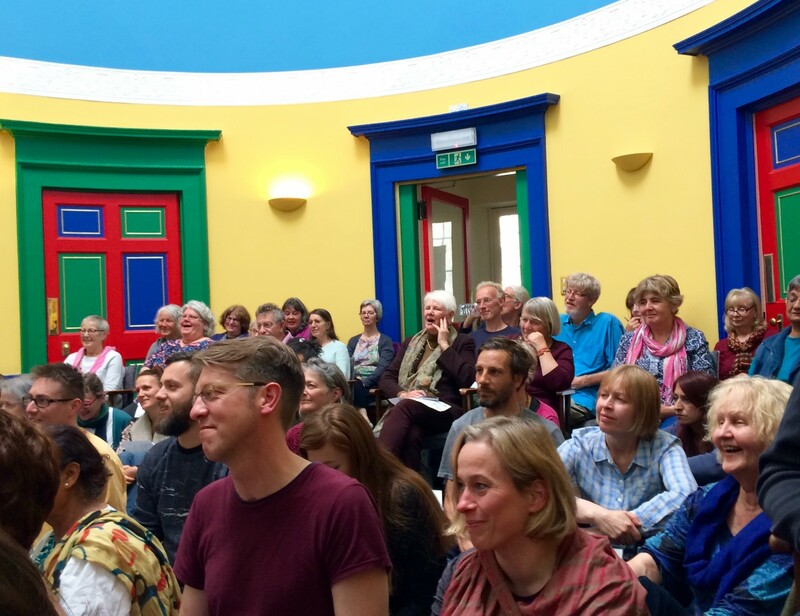 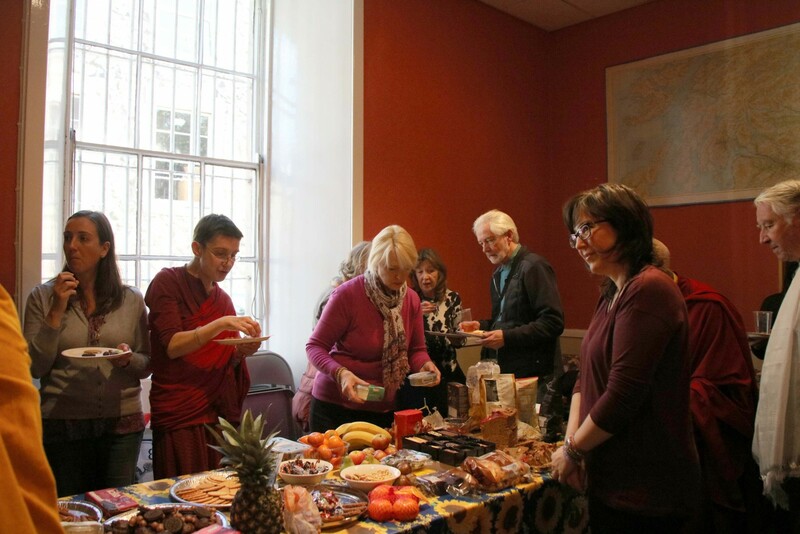 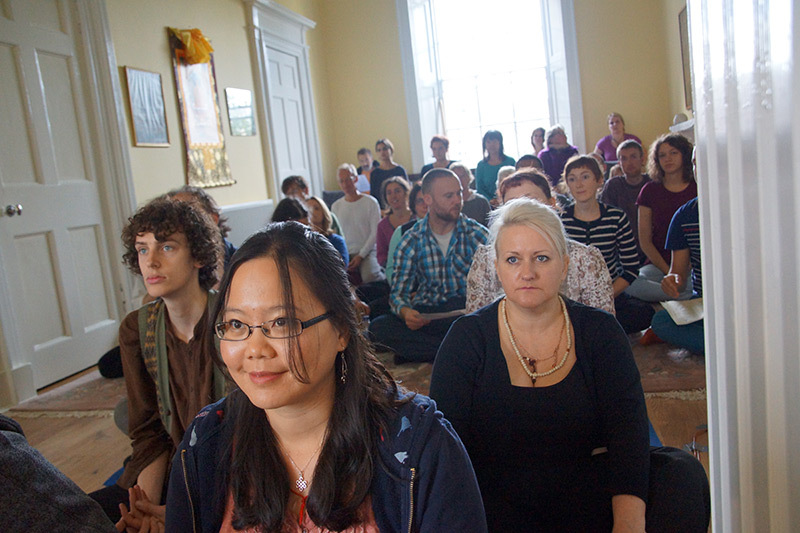 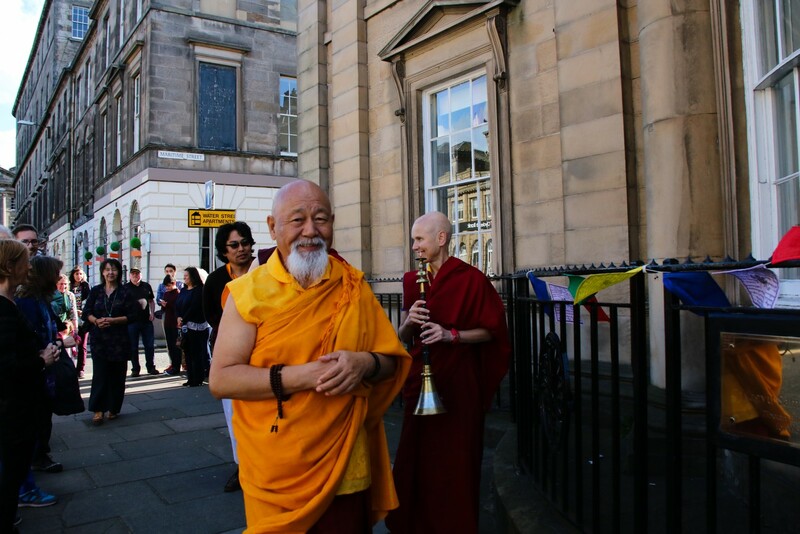 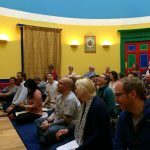 A happy throng gathered at Samye Dzong Edinburgh over the weekend of September 24th and 25th 2016 to enjoy an eventful and meaningful time with Lama Yeshe Rinpoche. 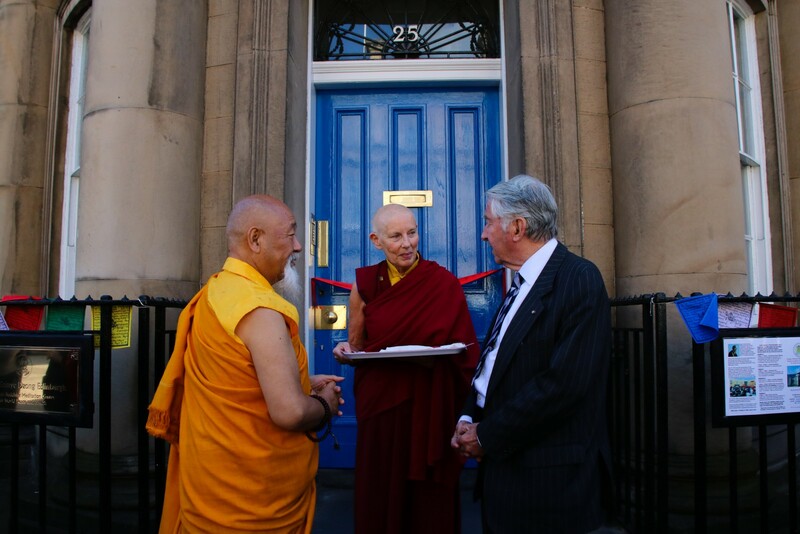 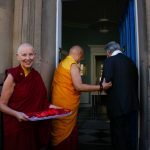 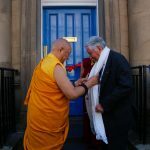 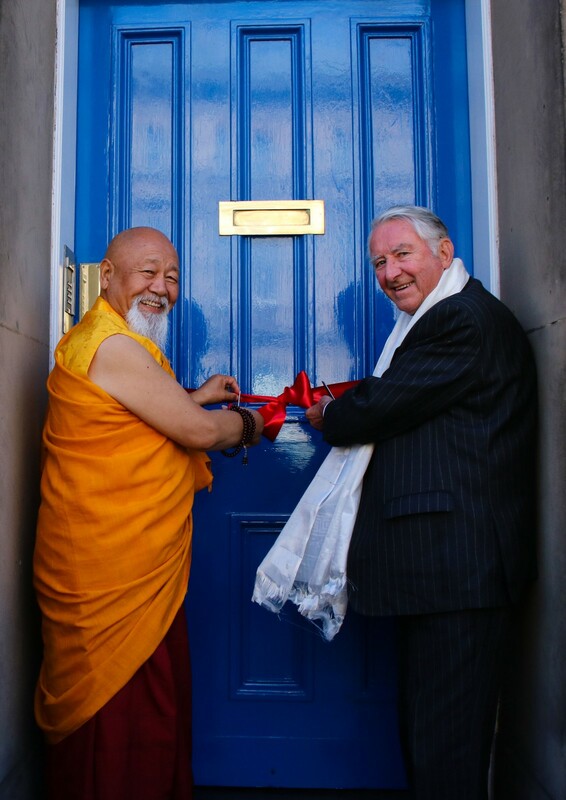 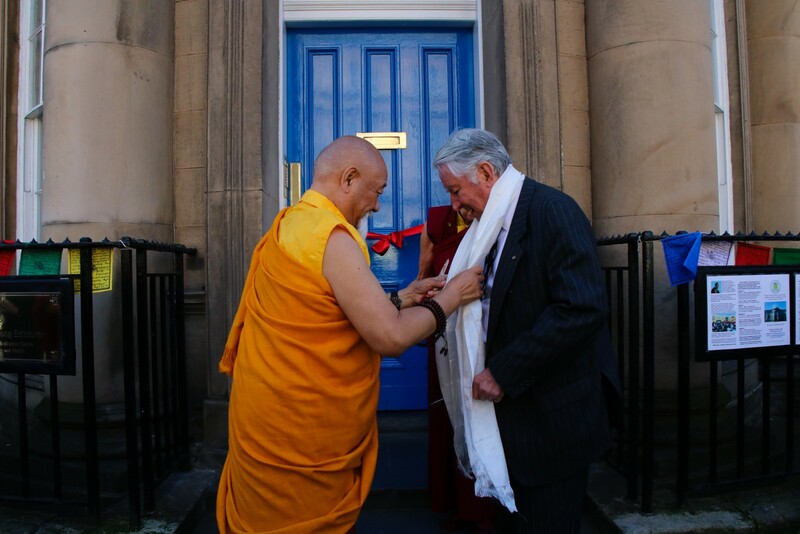 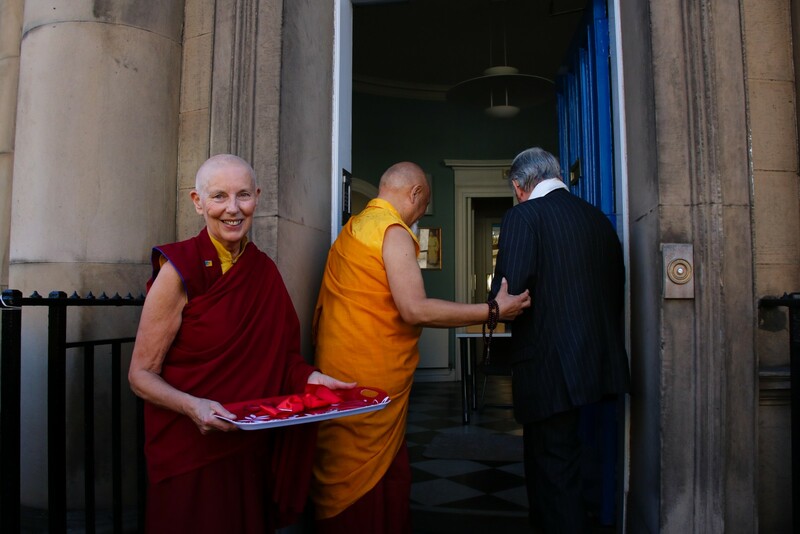 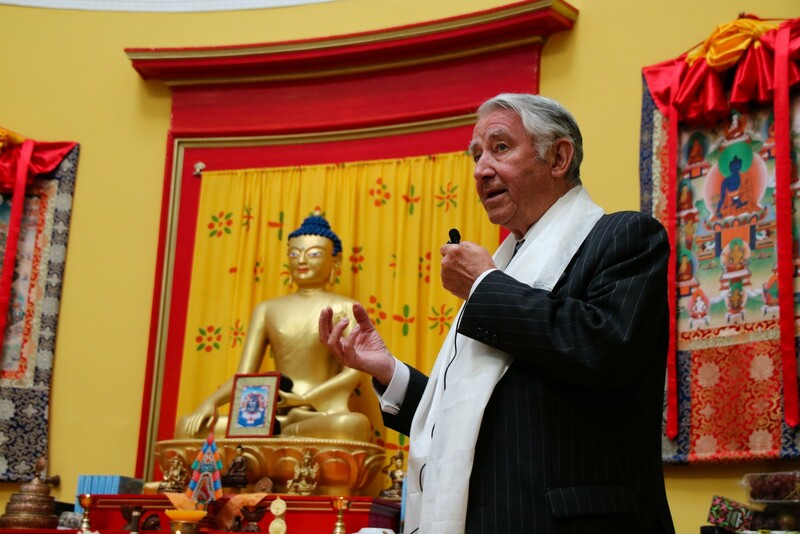 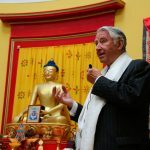 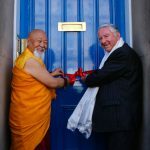 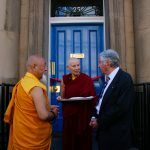 After giving Refuge and an inspiring public talk, Lama Rinpoche presided over the Official Opening Ceremony alongside Guest of Honour Sir David Steel. 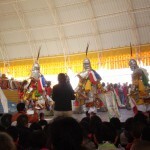 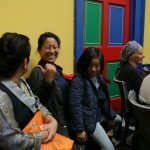 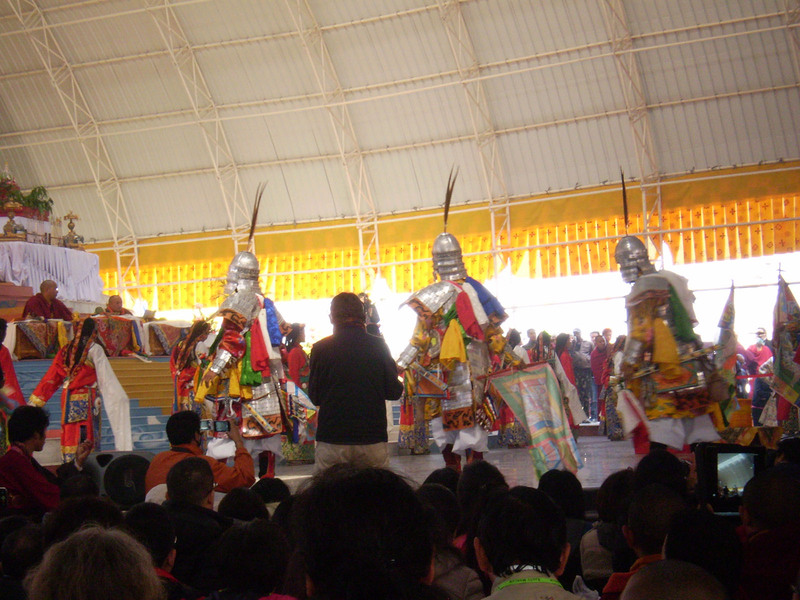 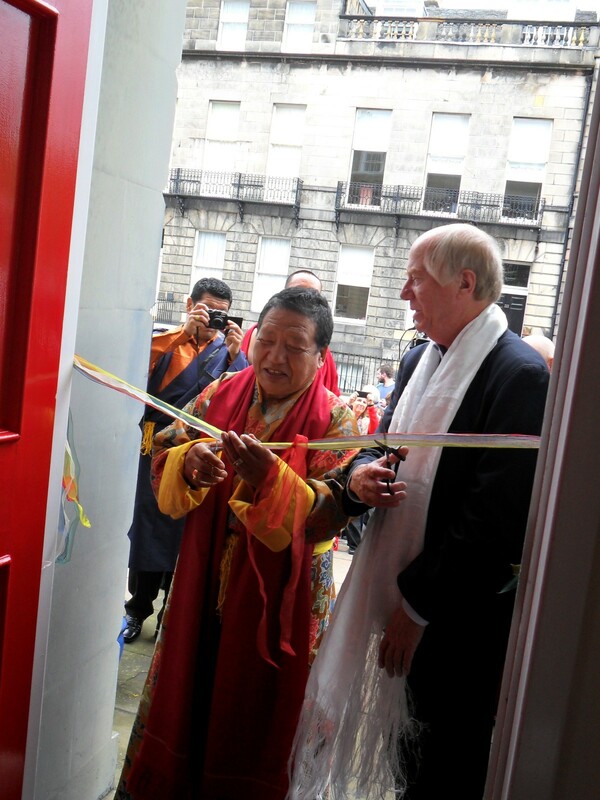 As they cut the ceremonial ribbon across the threshold, the jahlings, ably played by Ani Lhamo and Ani Kunzang, signalled the door to open as if by magic and piped everyone inside. 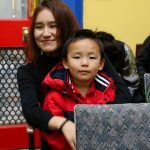 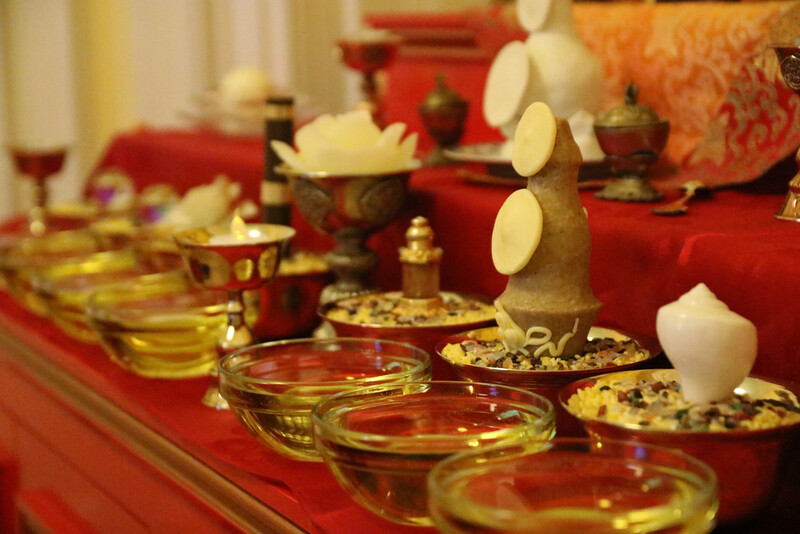 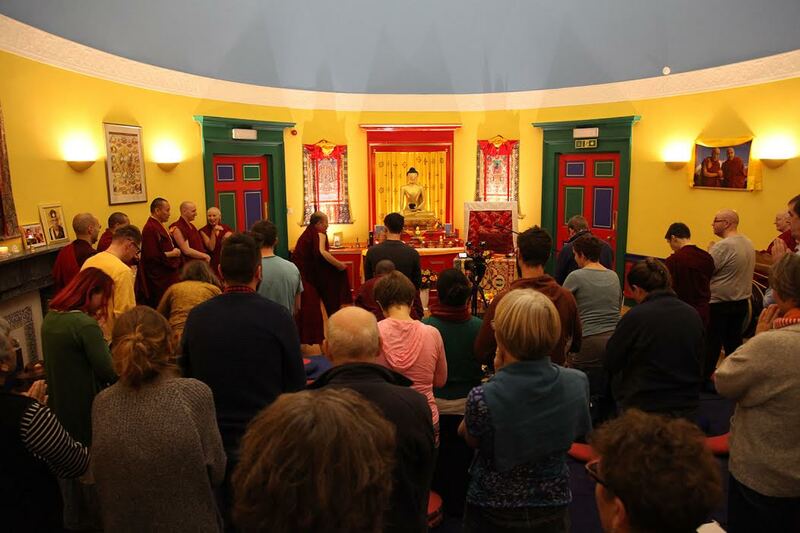 There followed a Guru Rinpoche Tsok Puja lead by Tulku Urgyen and Ani Rinchen Khandro, culminating in a sacred feast enjoyed by all. 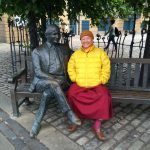 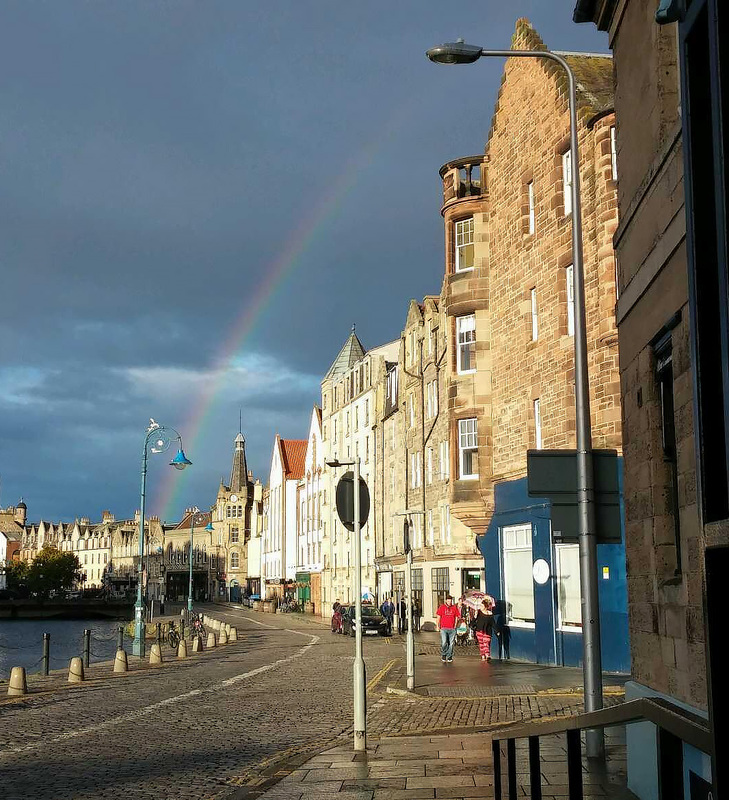 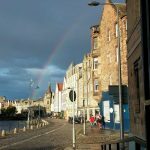 And as Lama Yeshe Rinpoche left to return to Samye Ling, a beautiful rainbow appeared over Leith, surely a blessing from Guru Rinpoche himself! 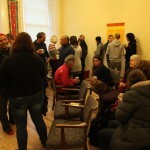 The opening day was documented by ace photographer Ai-Lan, a selection of whose memorable images can be seen below. 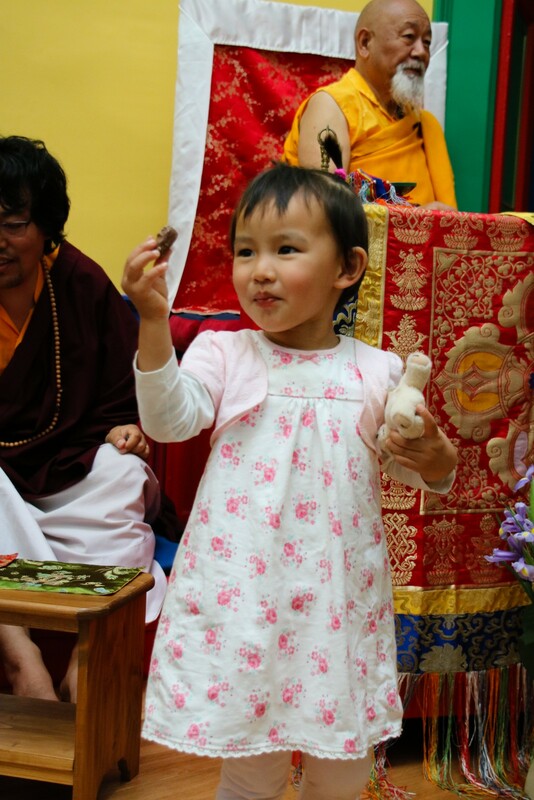 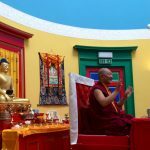 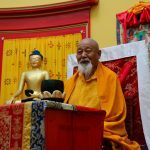 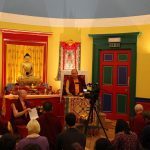 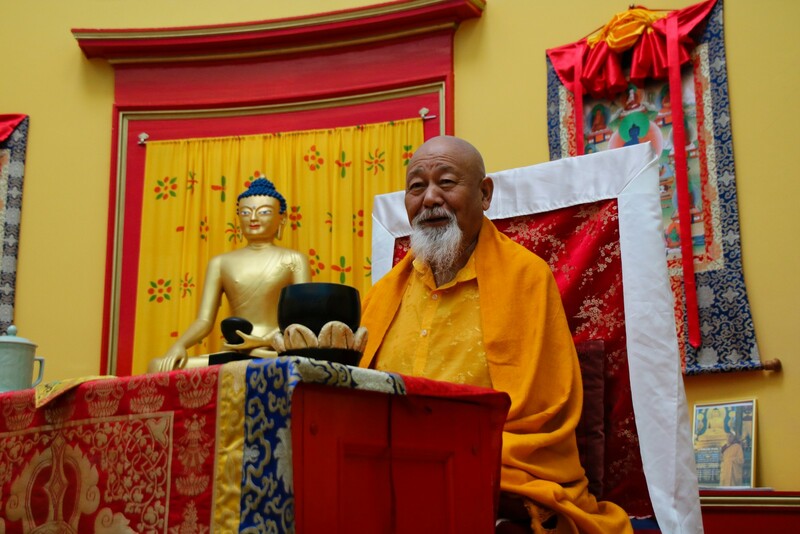 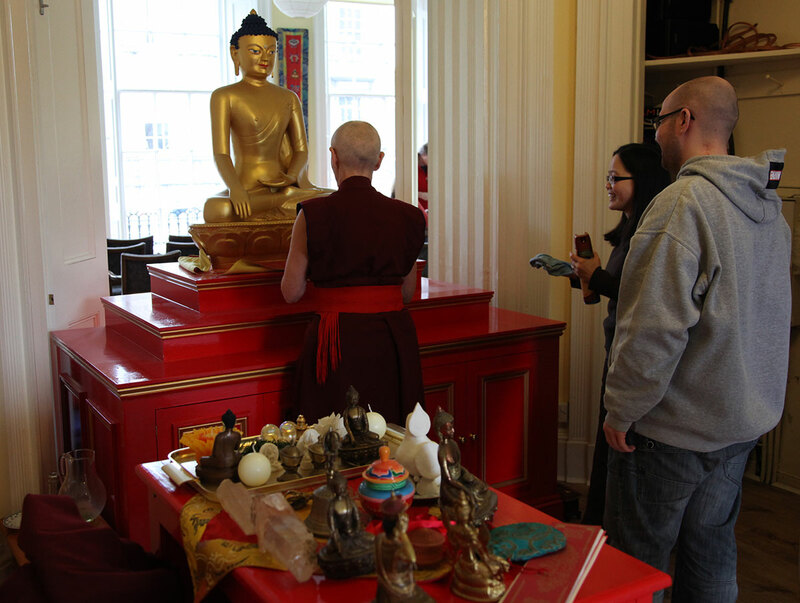 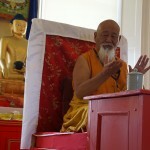 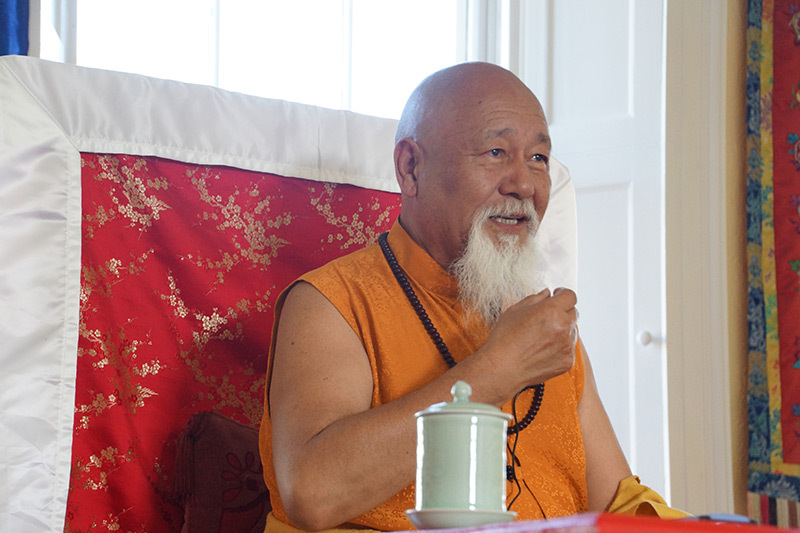 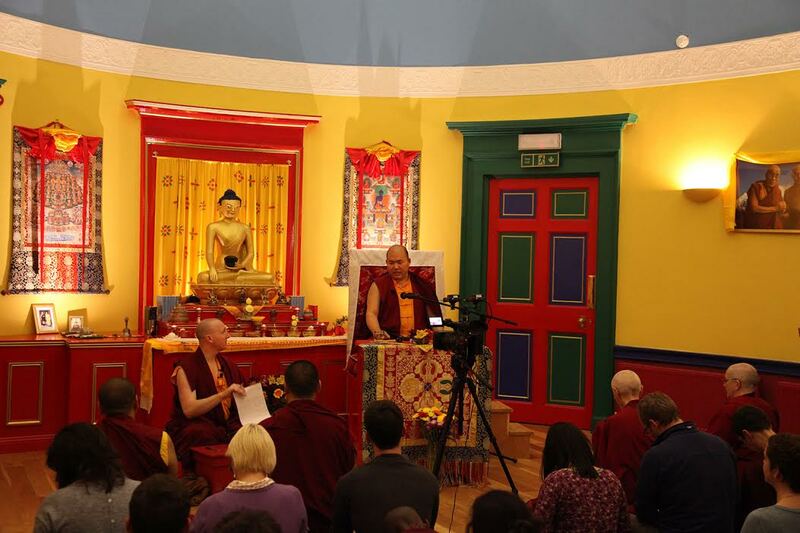 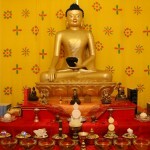 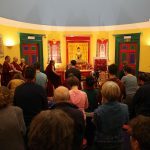 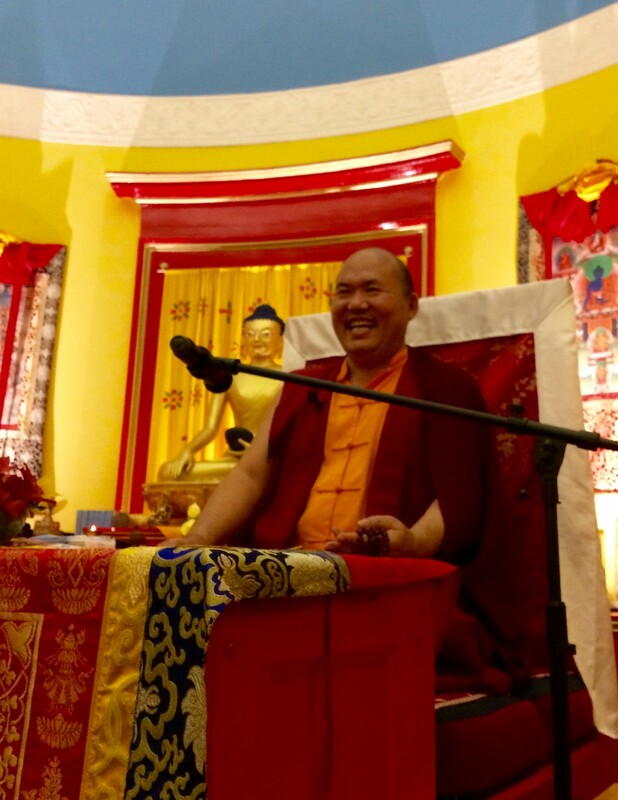 Ringu Tulku Rinpoche delivers the first Dharma teaching of a visiting Lama in the new Centre Shrine Room. 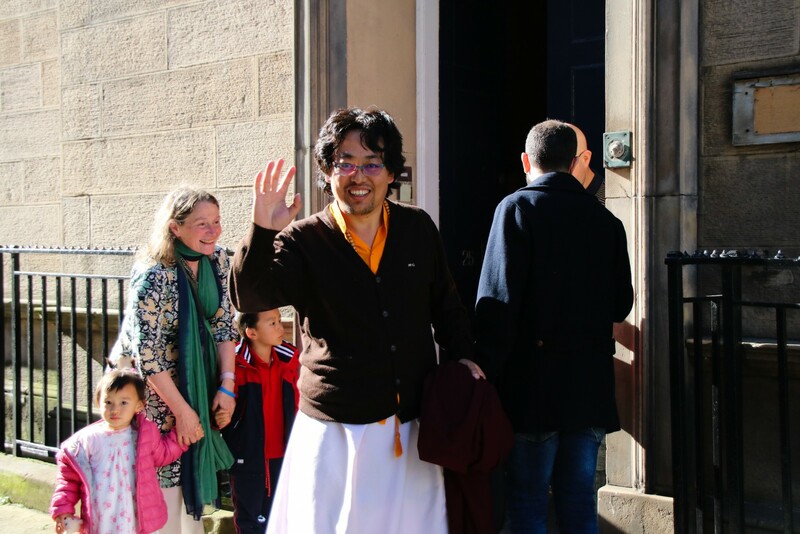 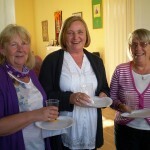 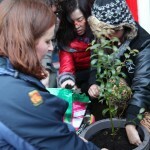 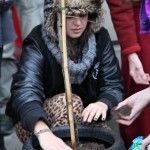 It was a most inspiring and joyful time for everyone. 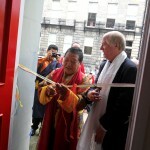 Rinpoche said how much he liked the new Centre, that it was a true Dzong and that he really enjoyed his stay. 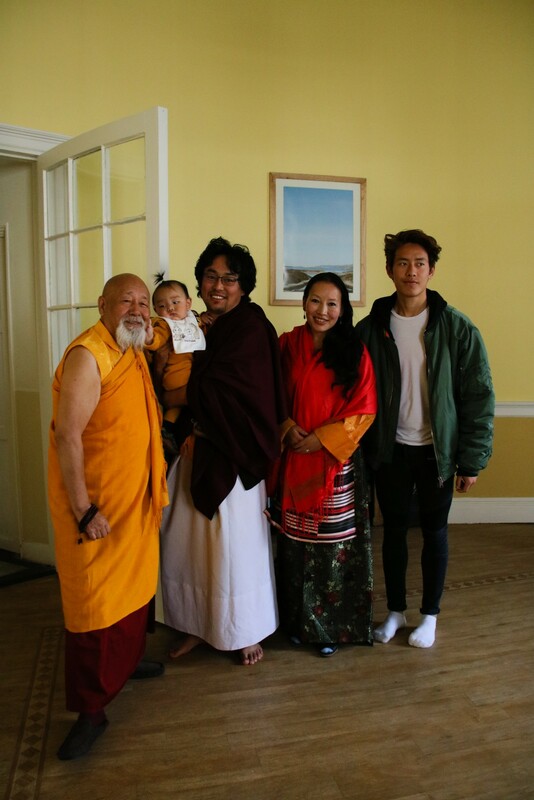 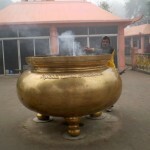 May this be the first of many such visits. 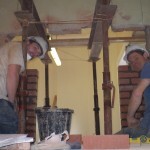 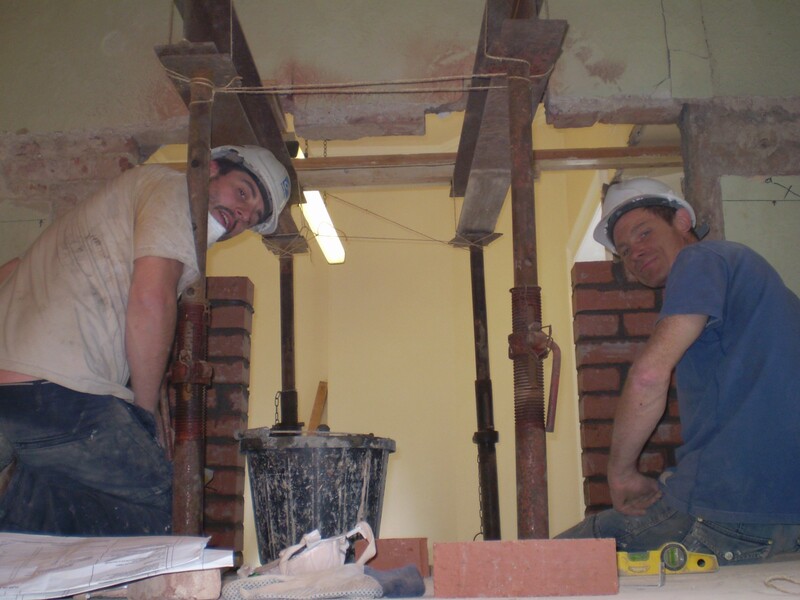 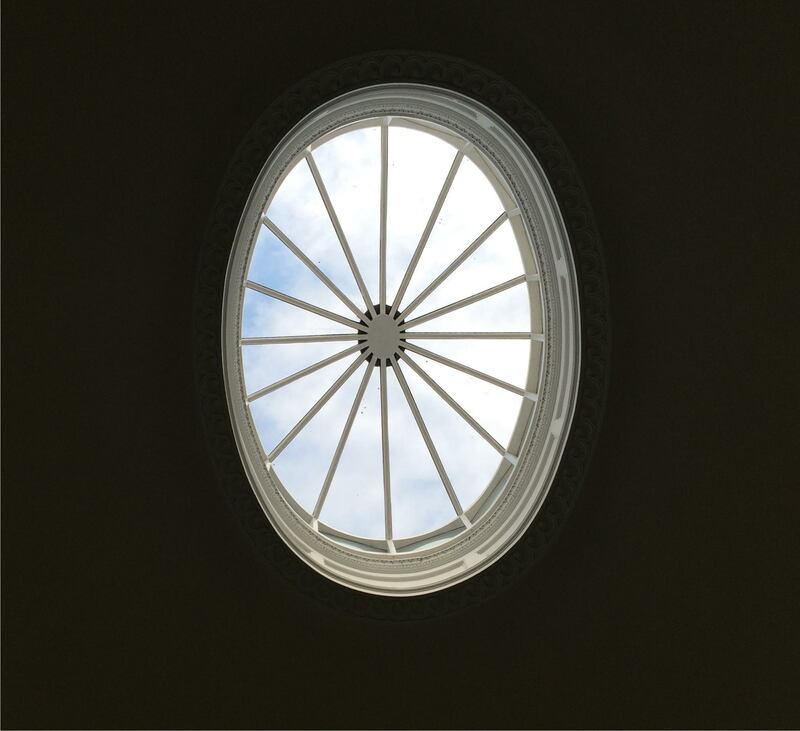 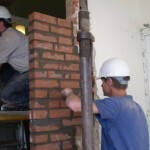 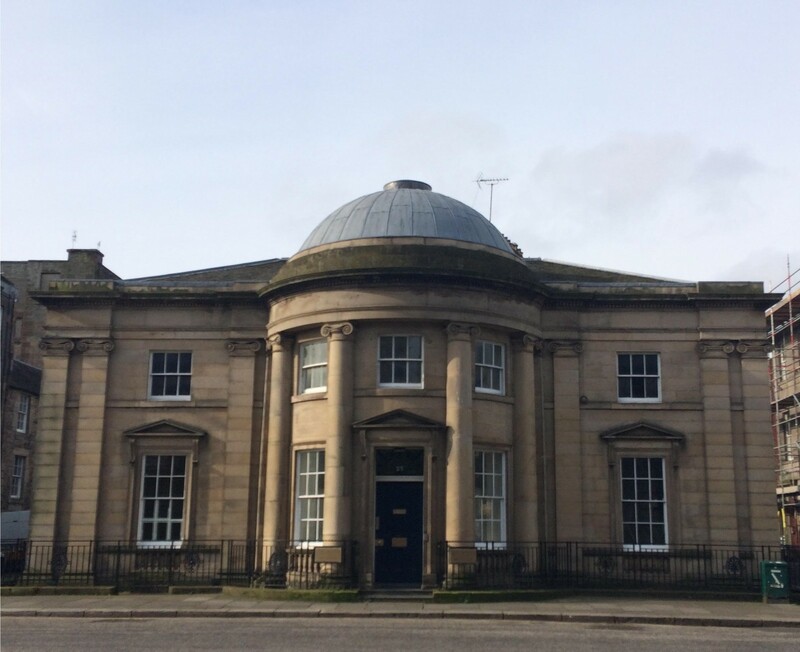 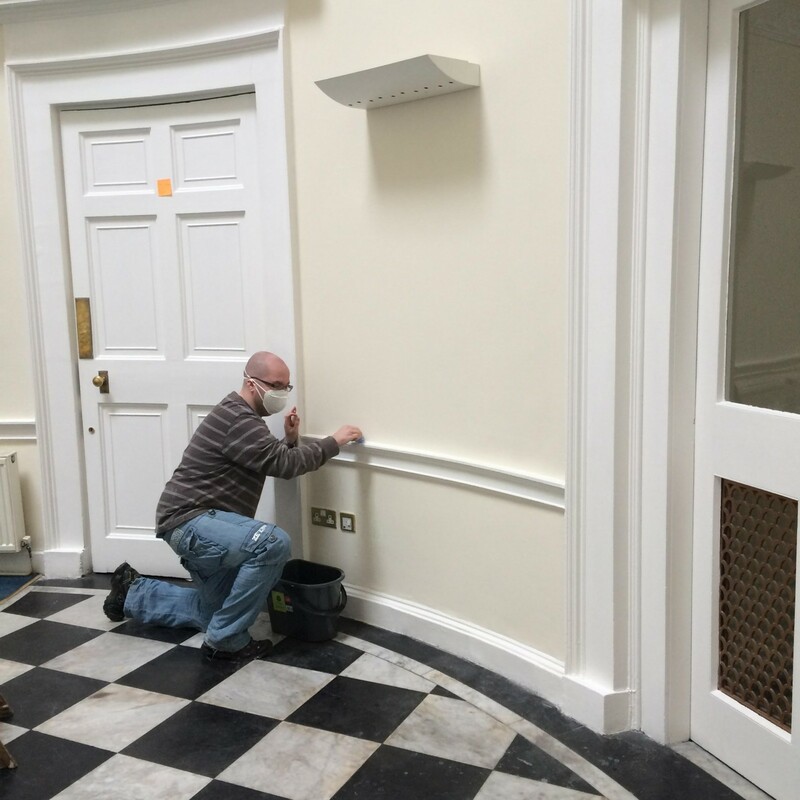 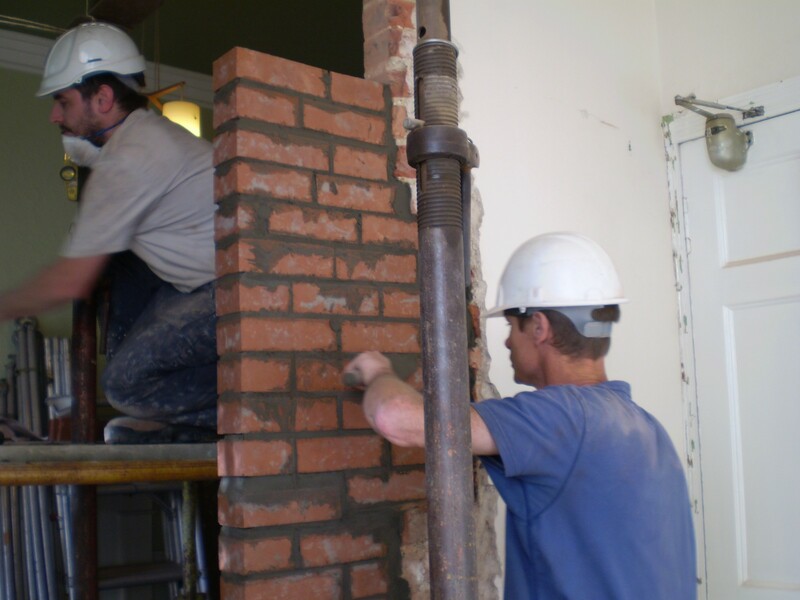 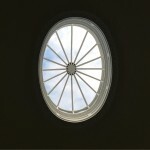 Here are some of the latest photos of the continuing work on our new home in Leith. 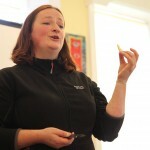 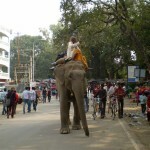 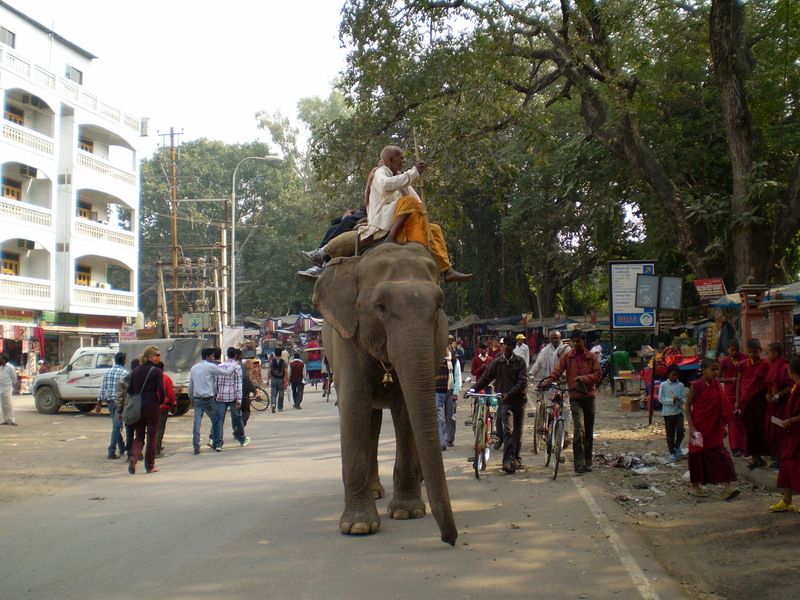 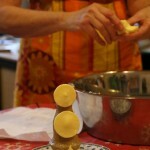 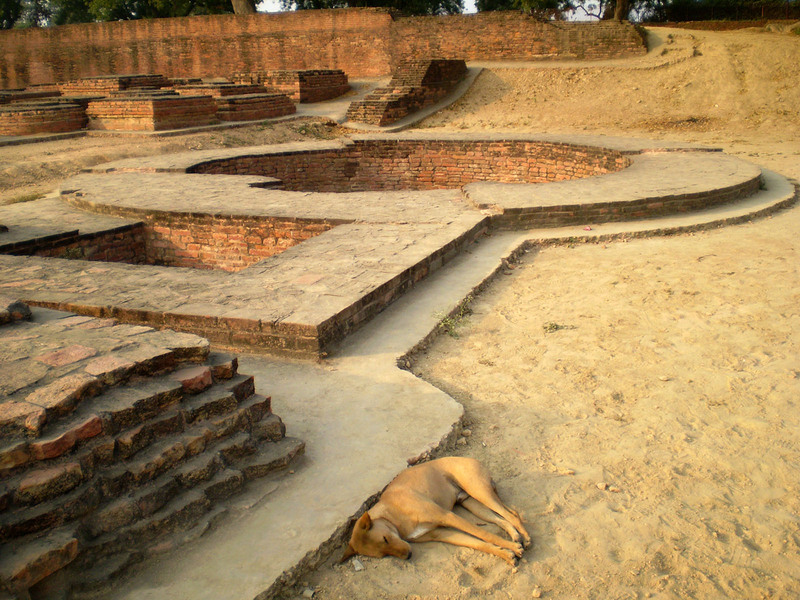 Click on image to view full size with captions. 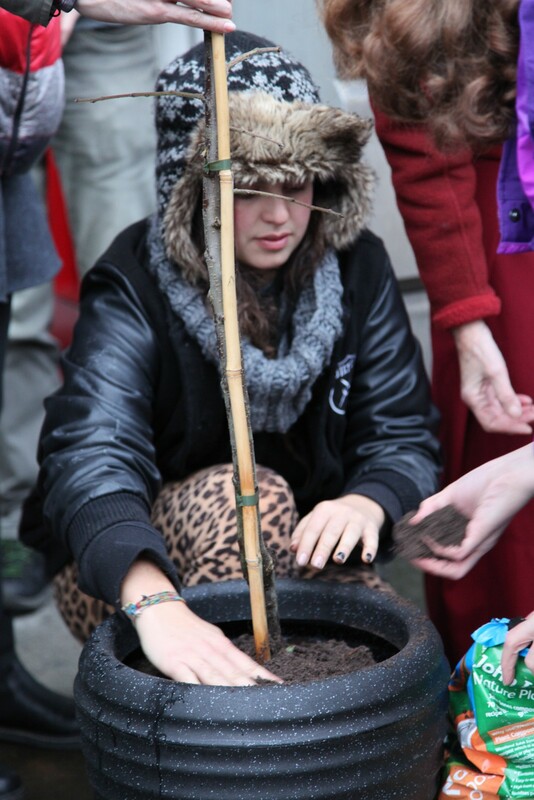 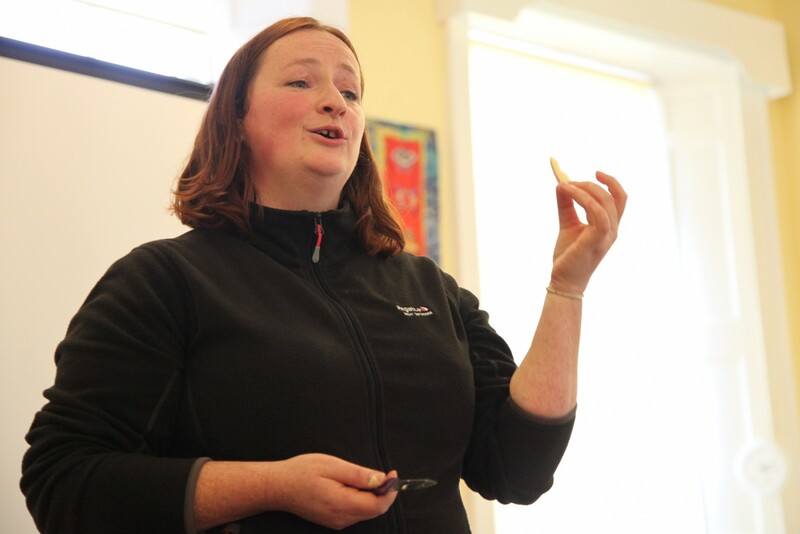 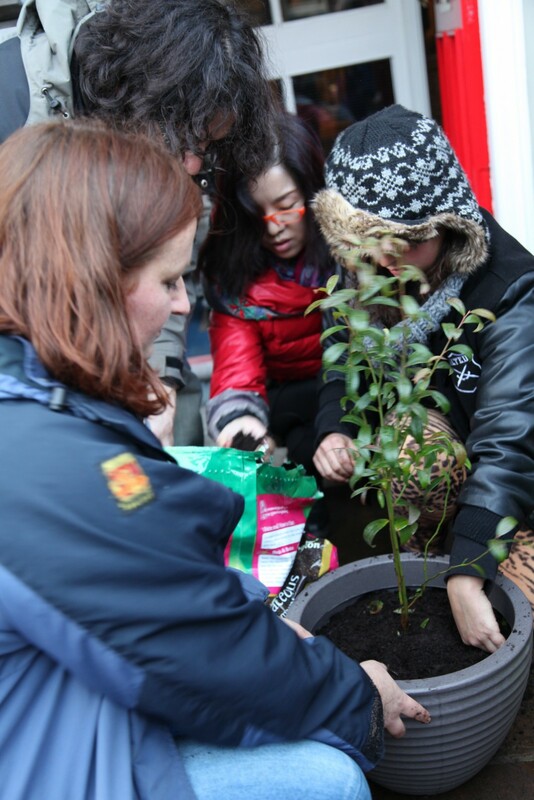 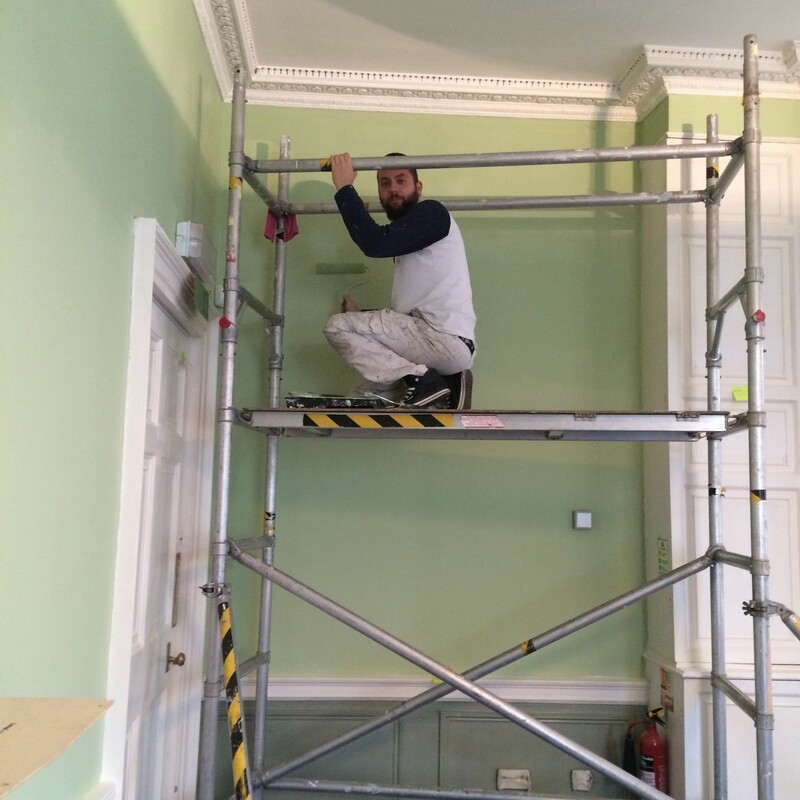 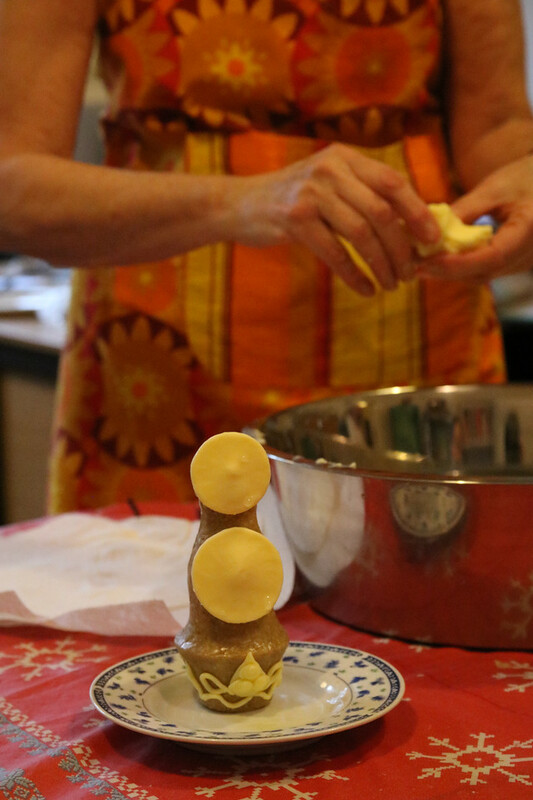 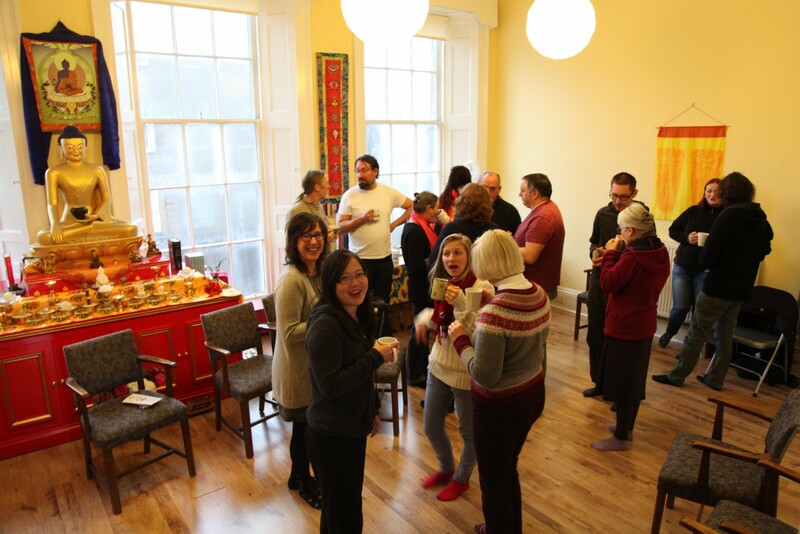 Photos from the course on Feburary 13th, 2016. 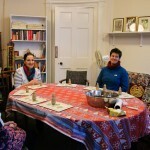 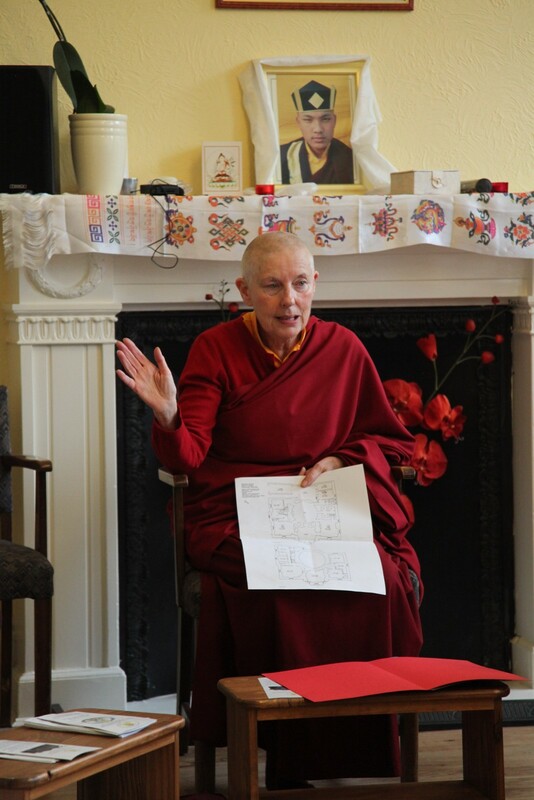 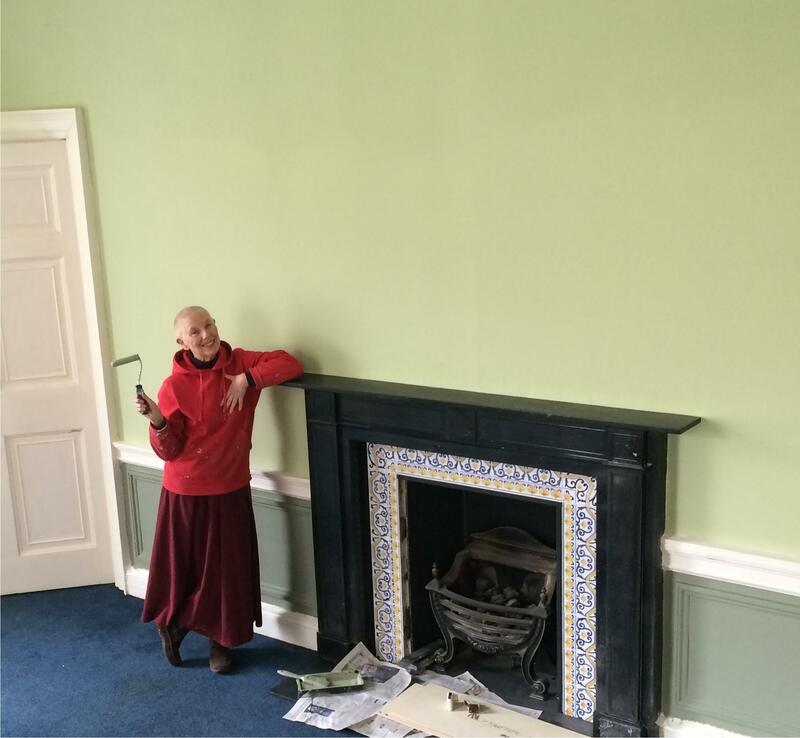 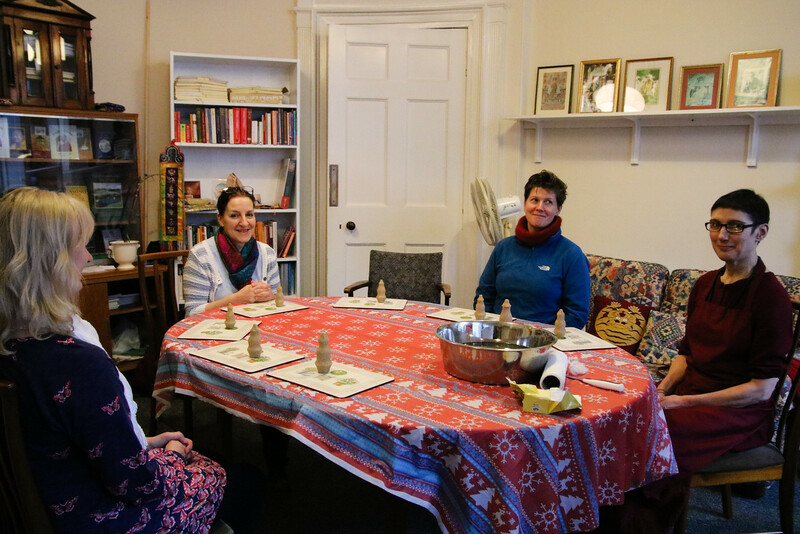 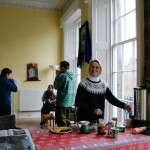 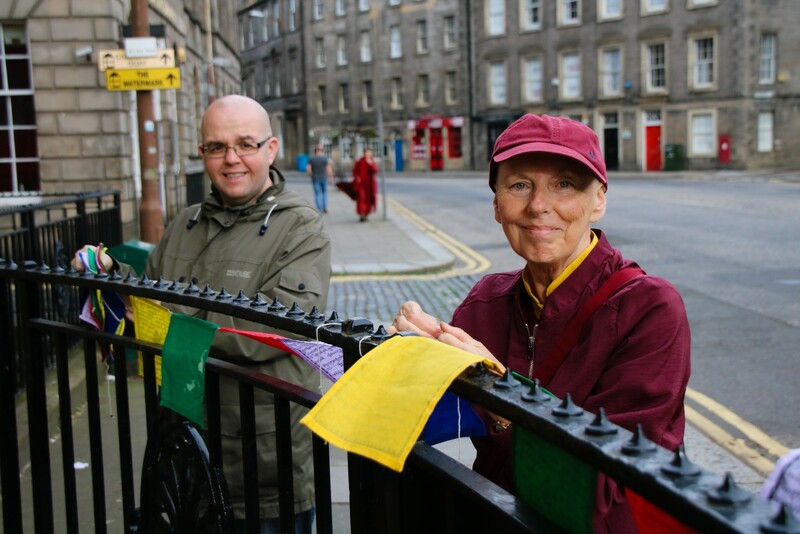 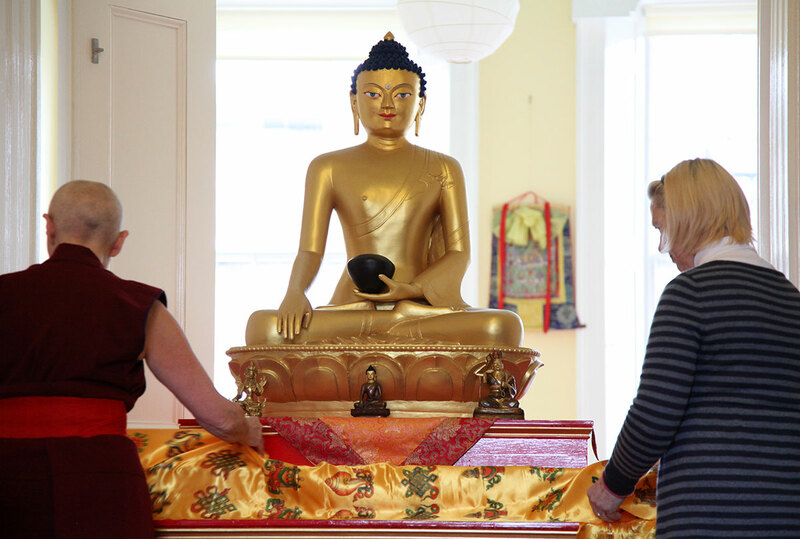 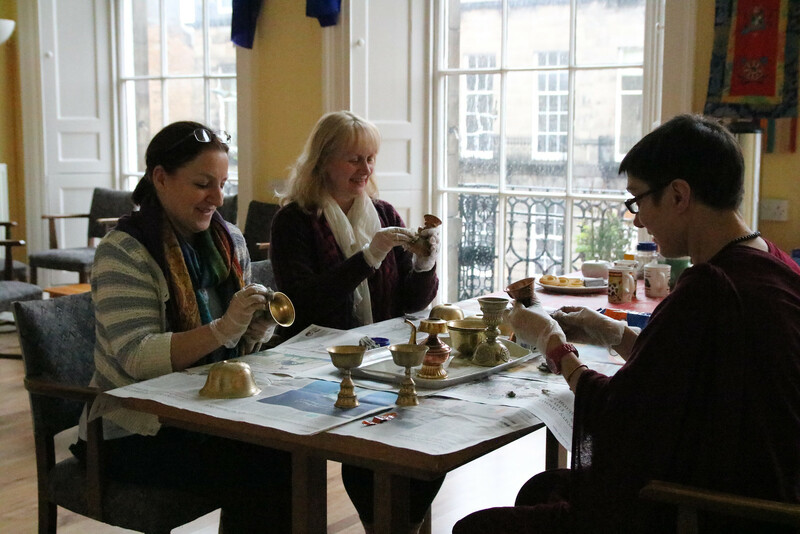 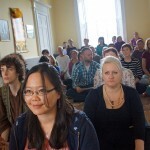 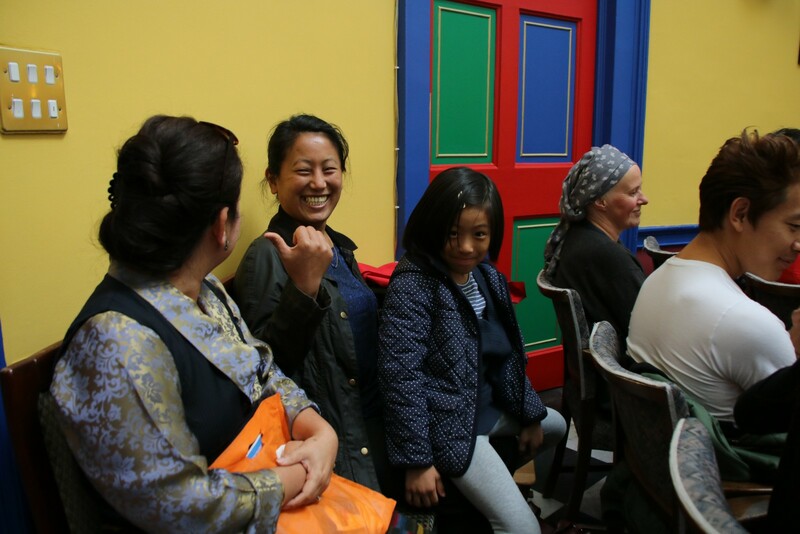 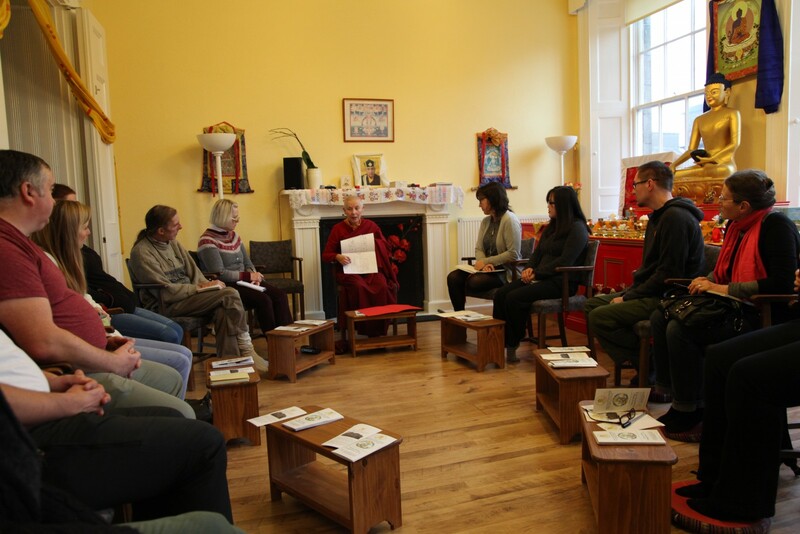 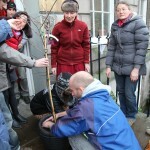 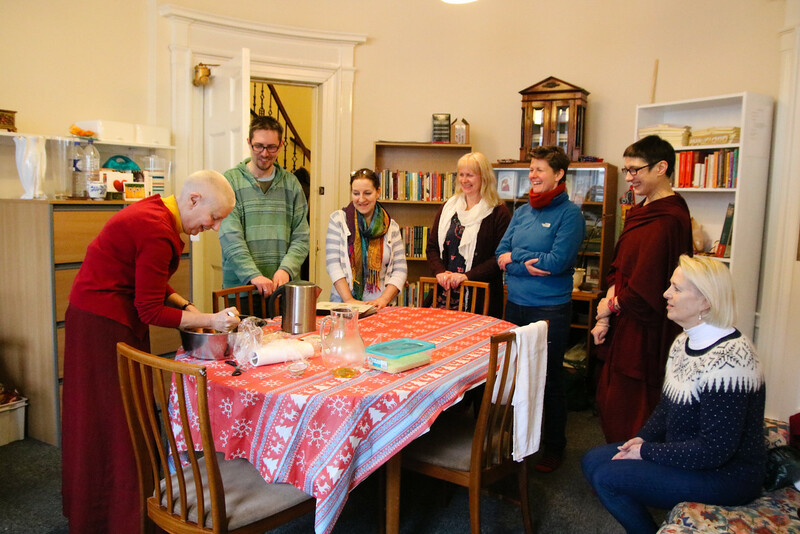 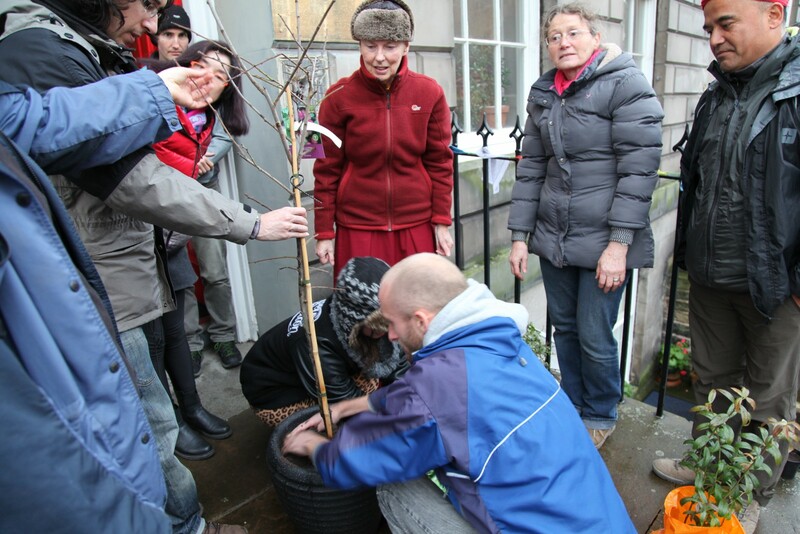 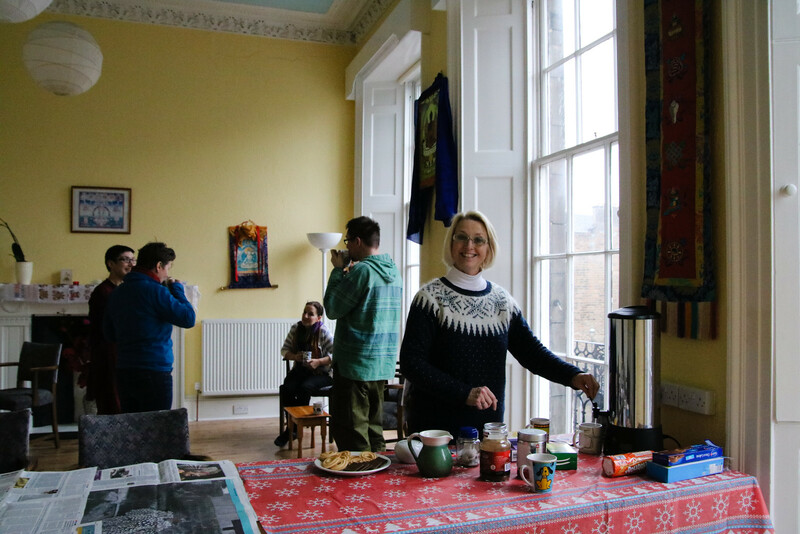 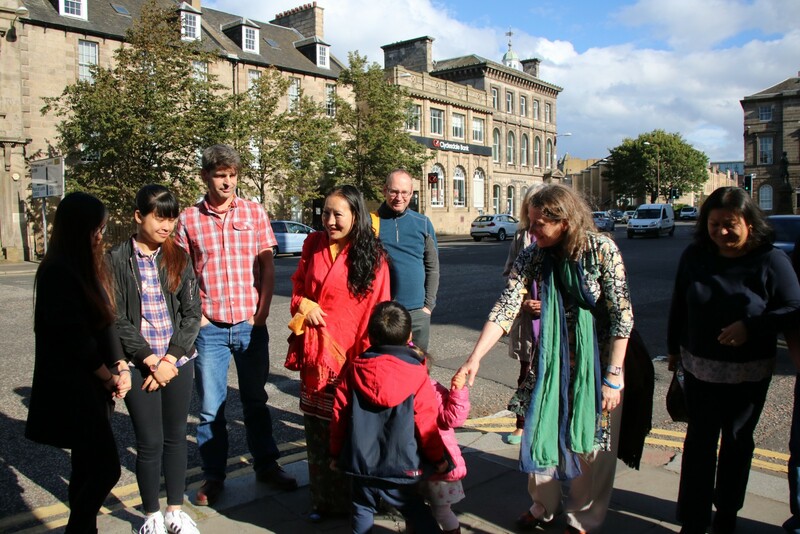 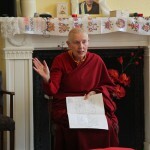 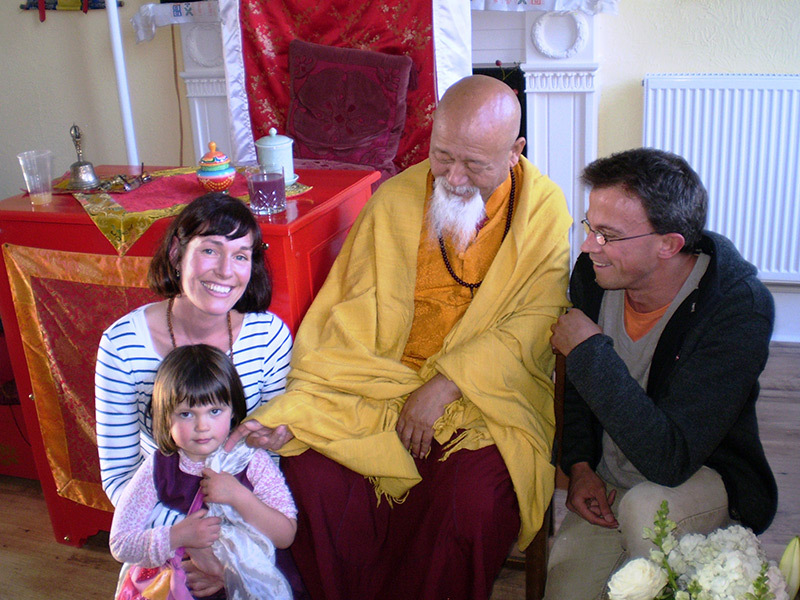 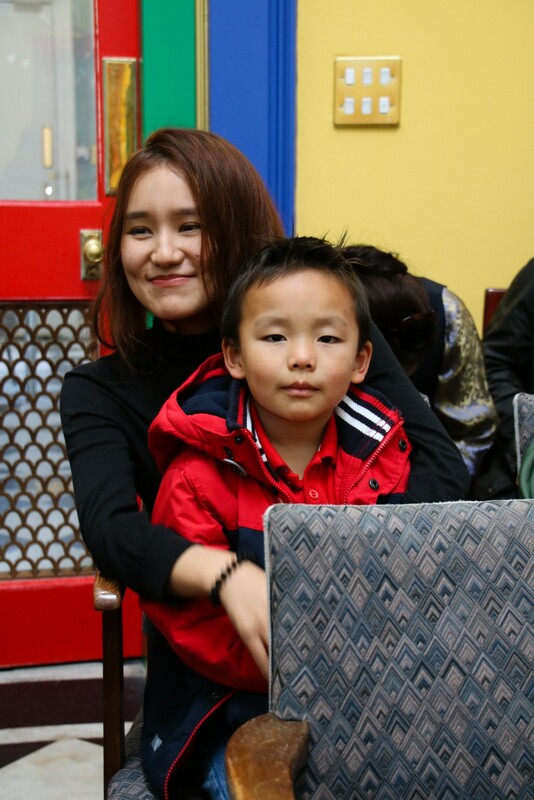 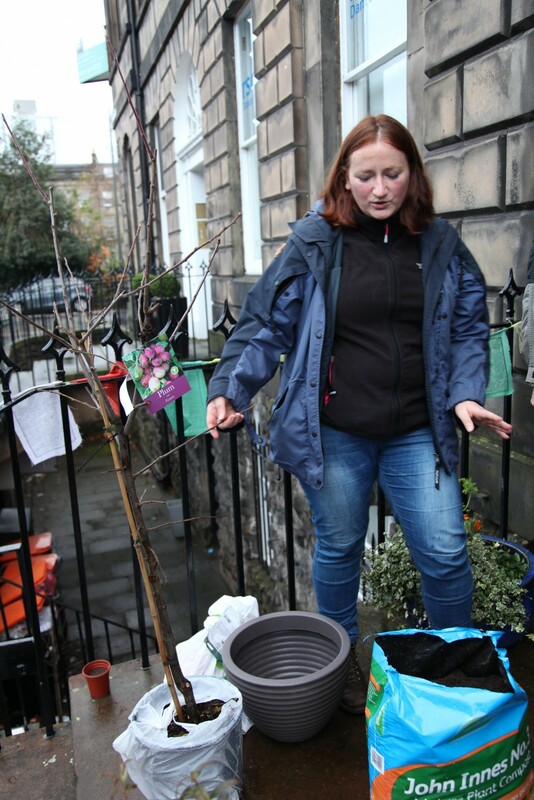 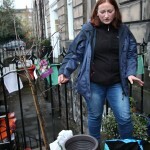 Ani Rinchen Khandro and volunteers meet to make plans for our New Centre in Leith. 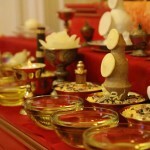 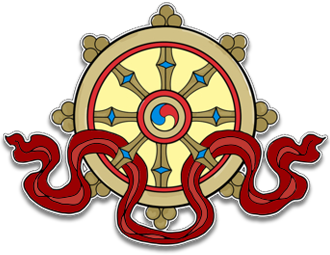 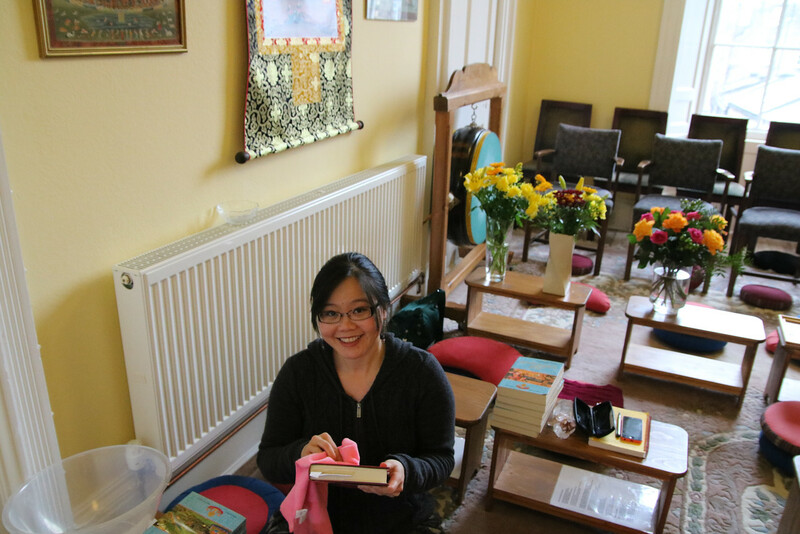 On the eve of Tibetan New Year Samye Dzong members create a veritable hive of activity, cleaning, polishing and sweeping the shrine and shrine room then renewing all the offerings in time for Losar, the year of the water serpent. 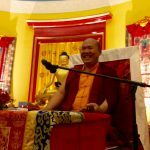 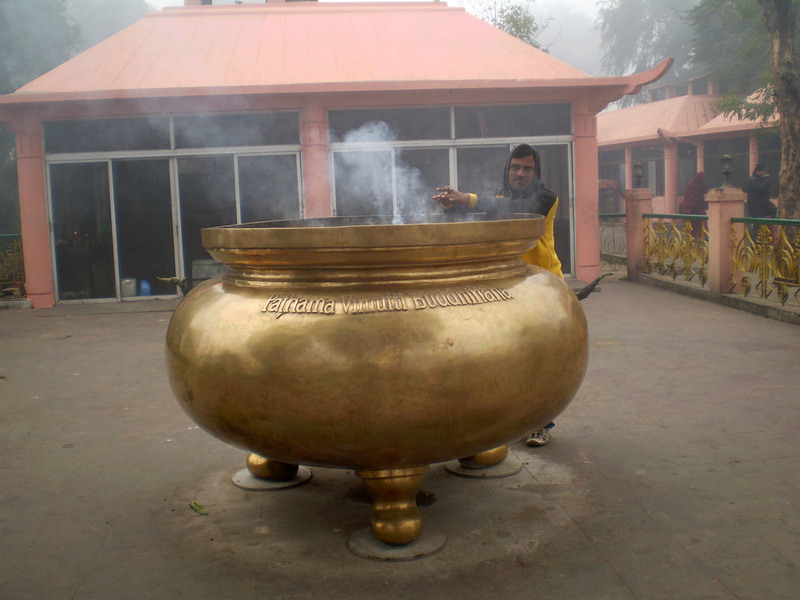 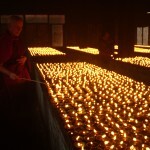 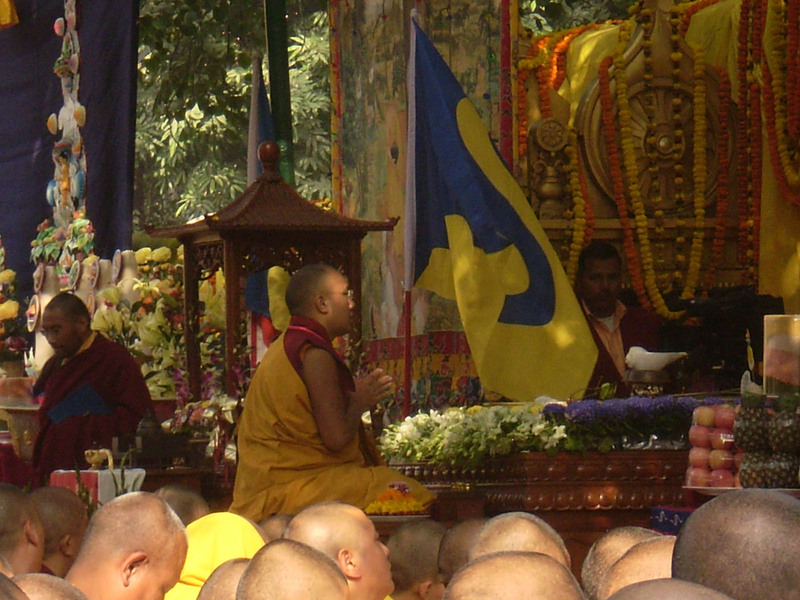 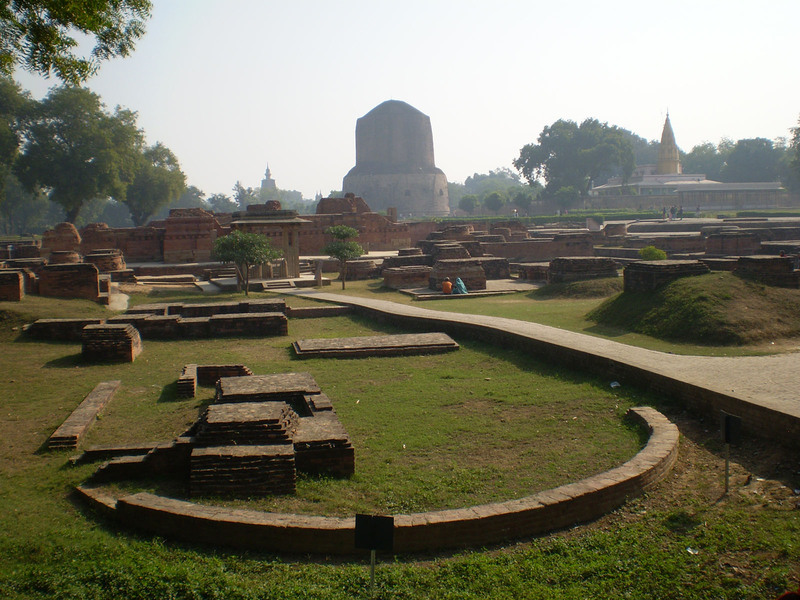 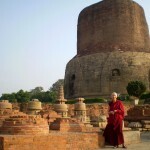 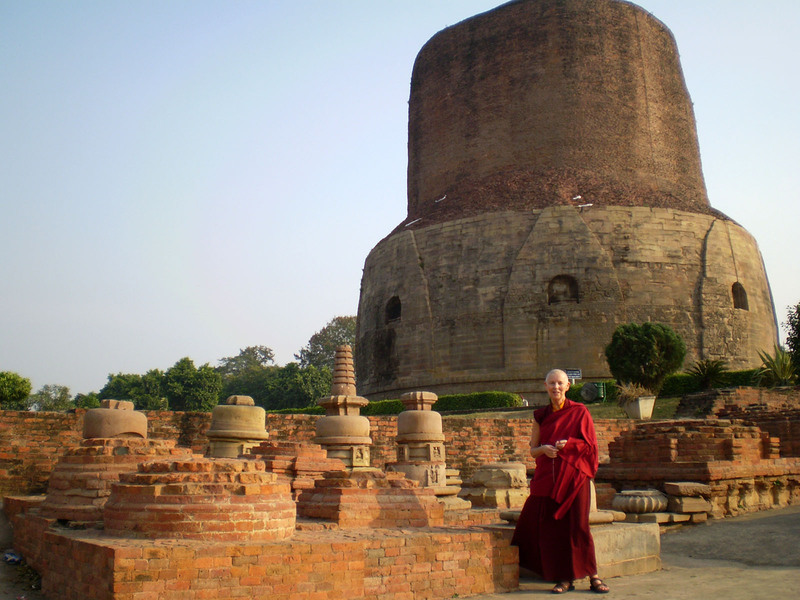 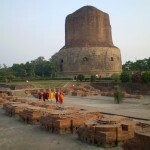 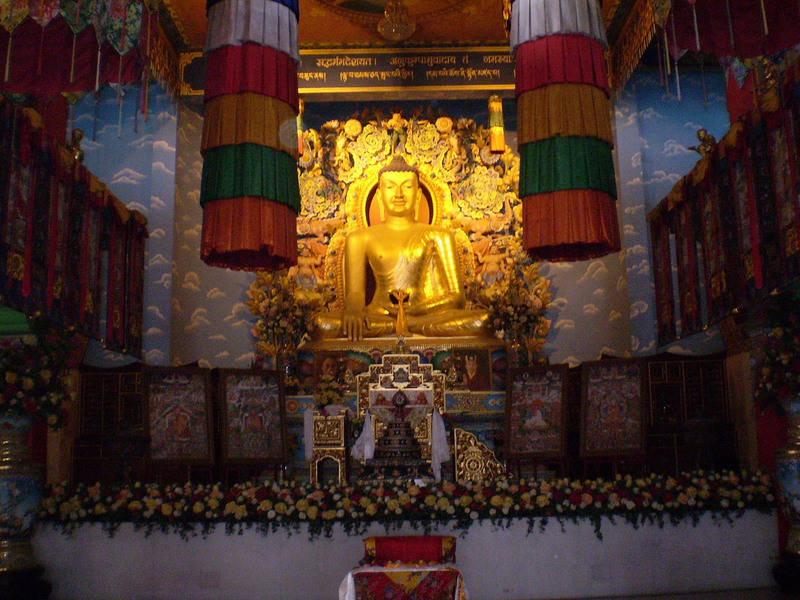 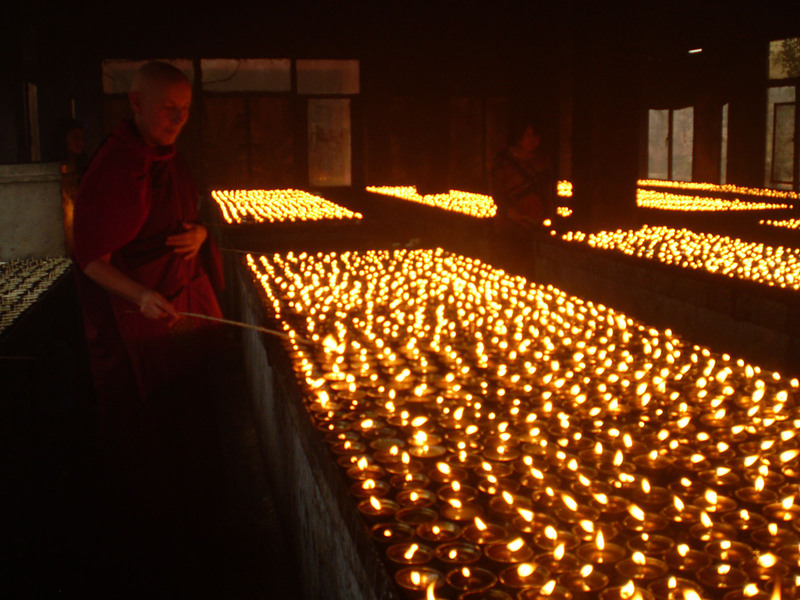 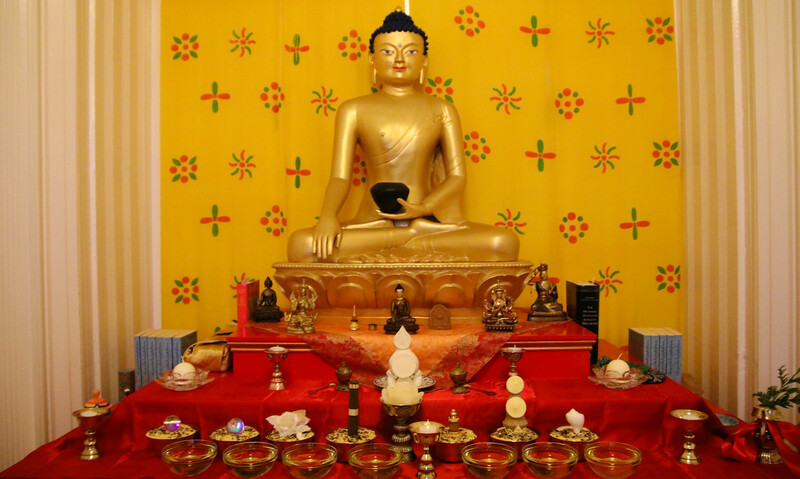 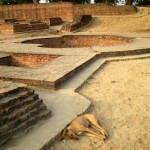 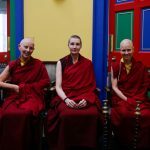 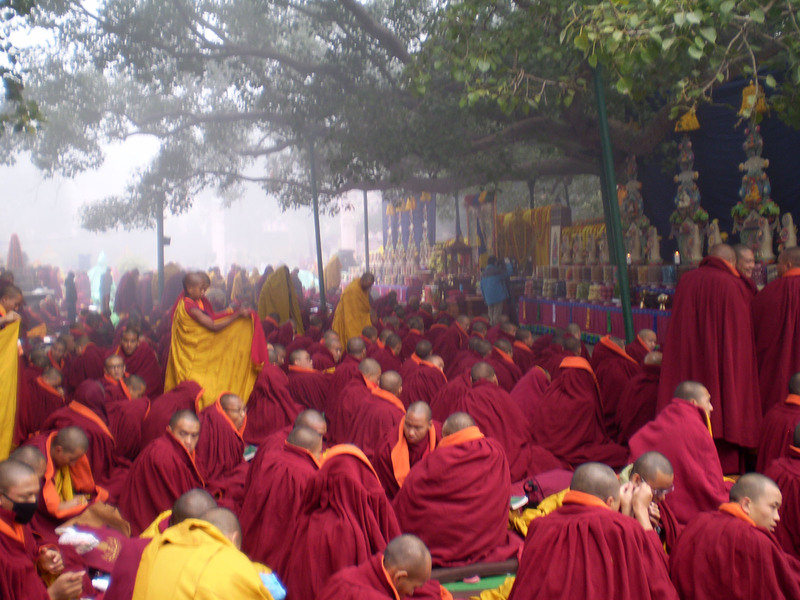 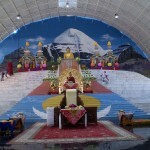 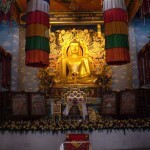 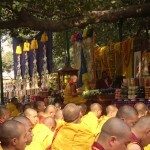 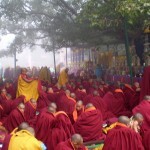 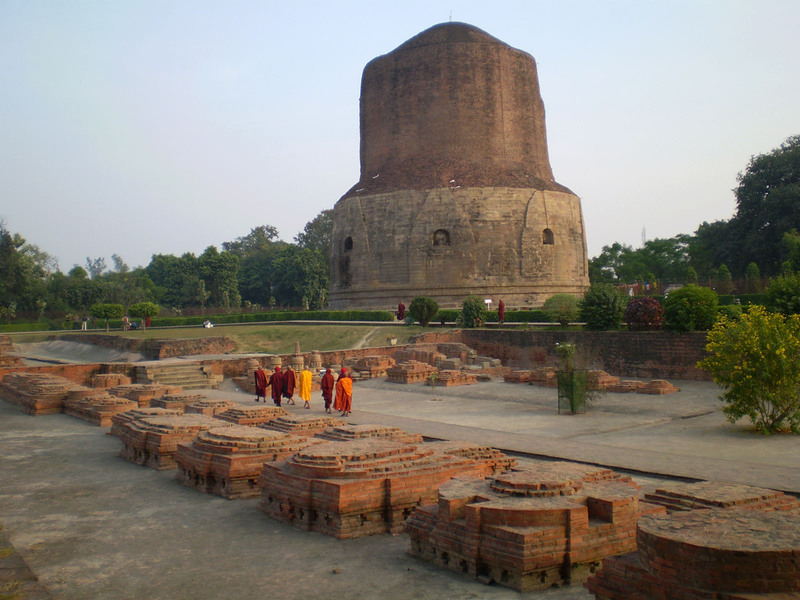 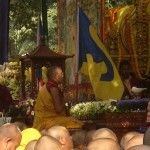 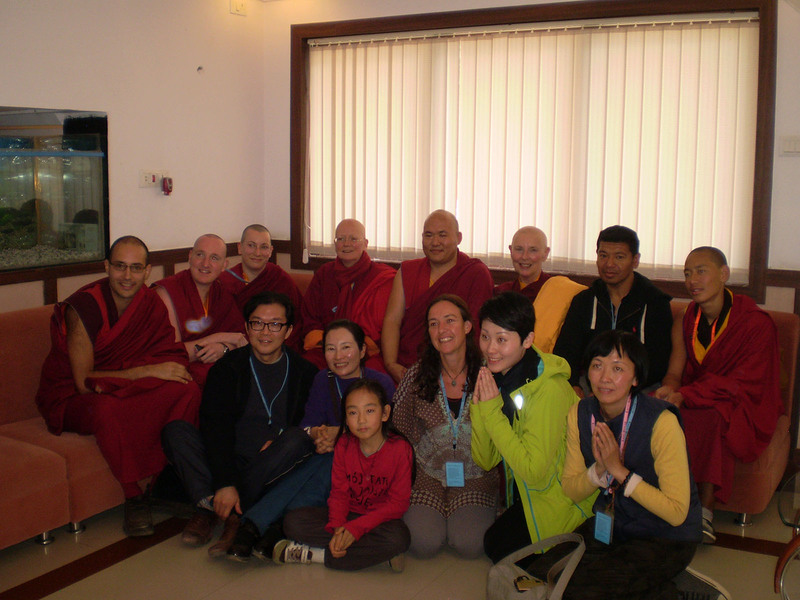 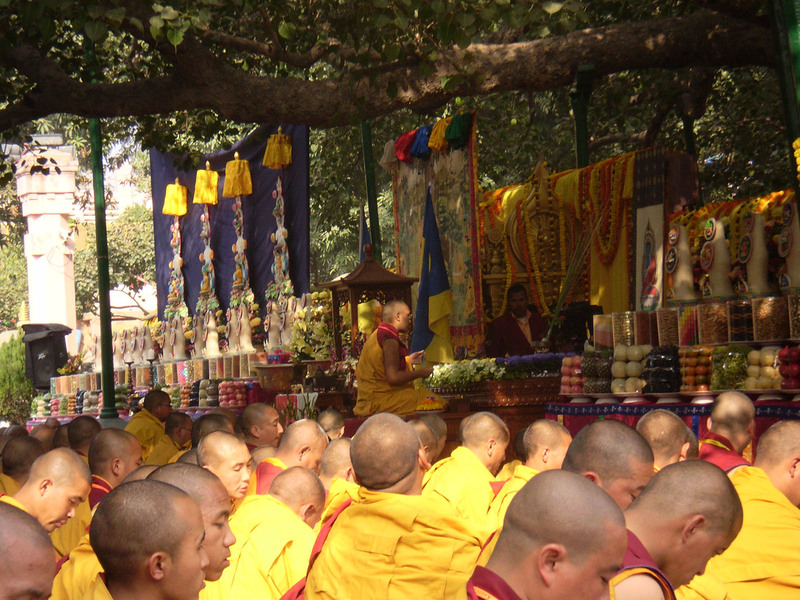 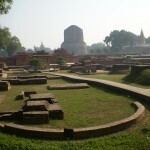 Ani Rinchen Khandro’s pilgrimage to Bodhgaya for the 30th Kagyu Monlams, hosted by HH Karmapa at the site of the Buddha’s enlightenment, and to the Deer Park in Sarnath where the Buddha gave his first teachings. 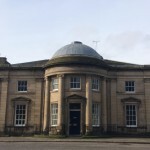 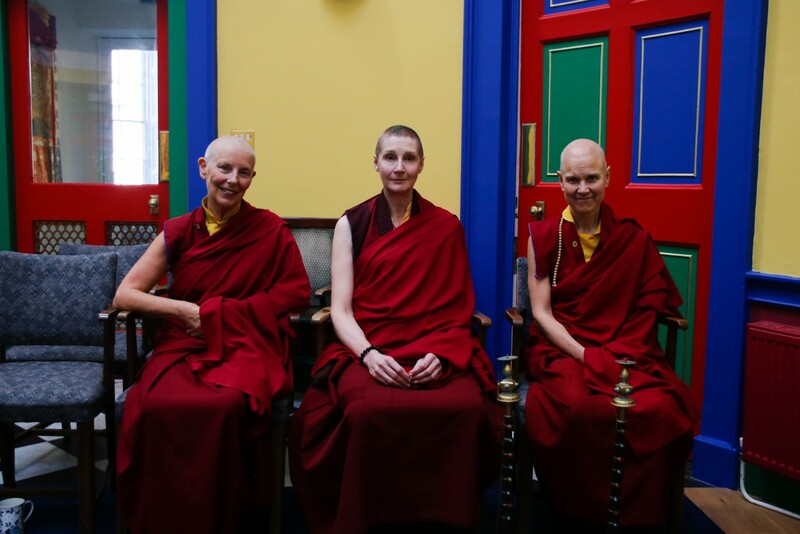 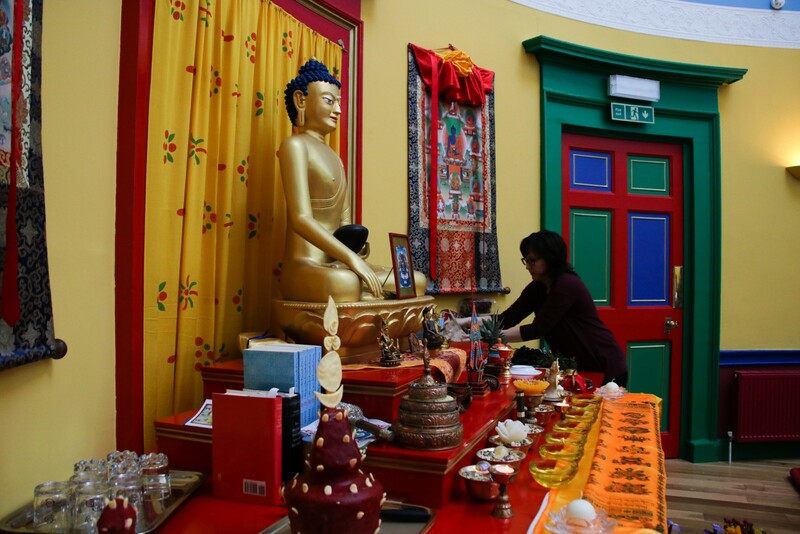 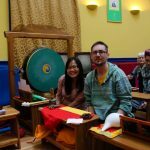 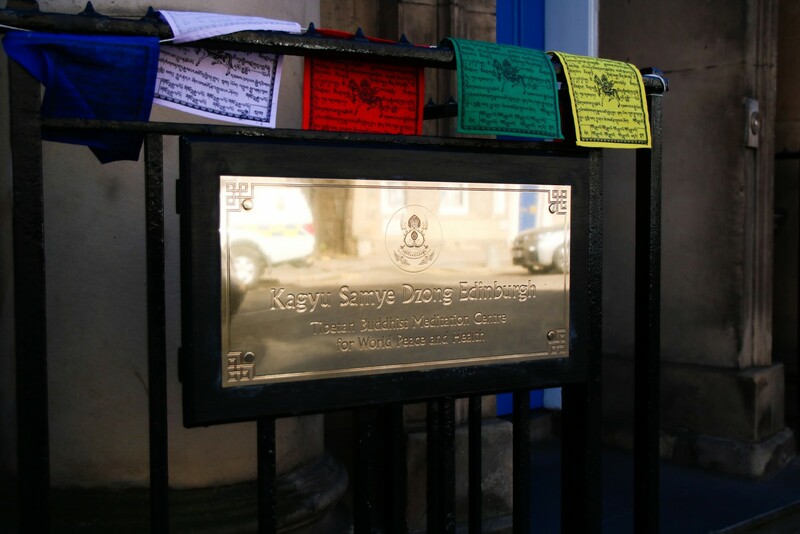 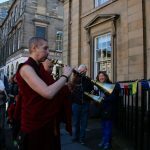 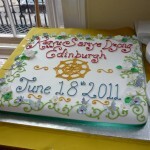 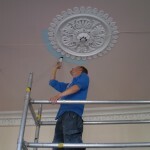 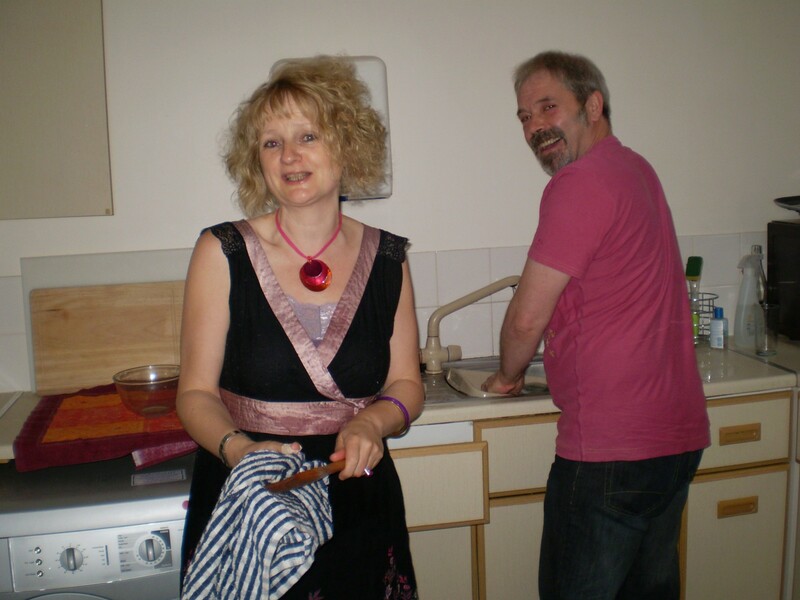 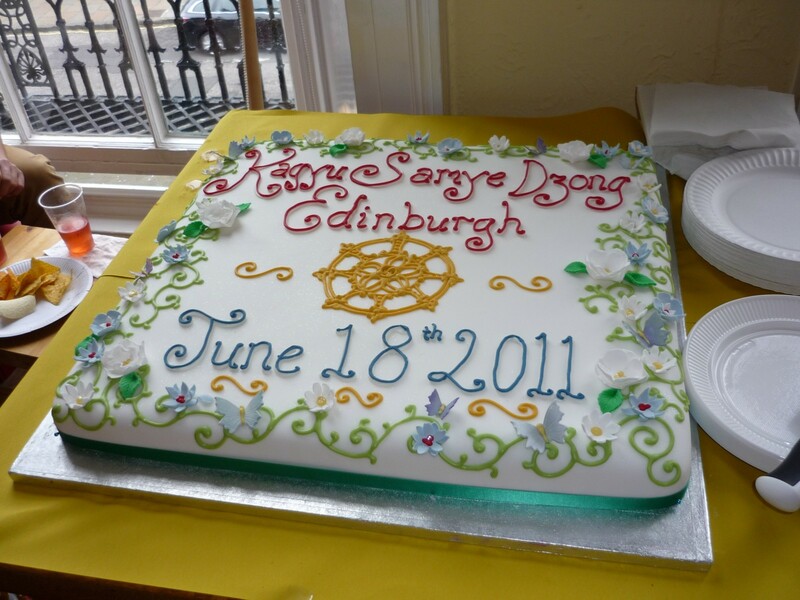 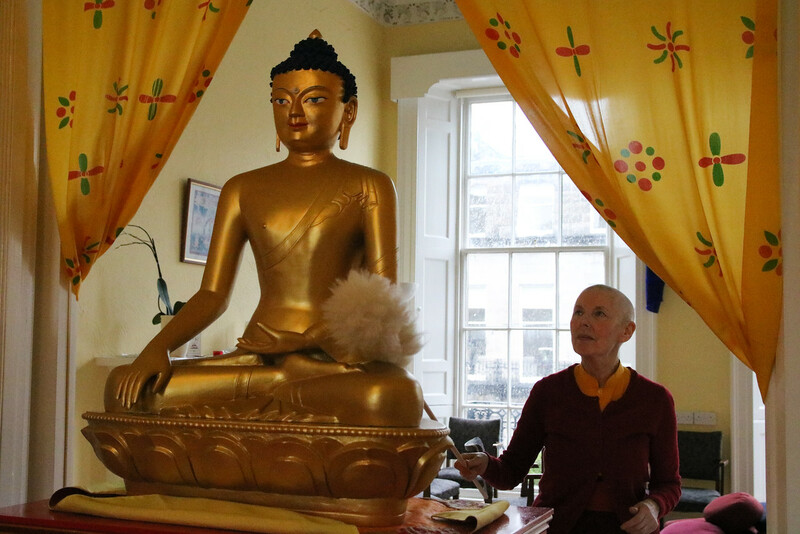 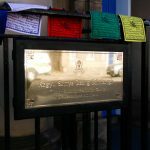 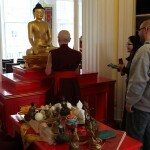 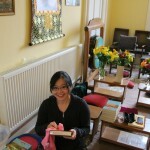 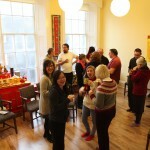 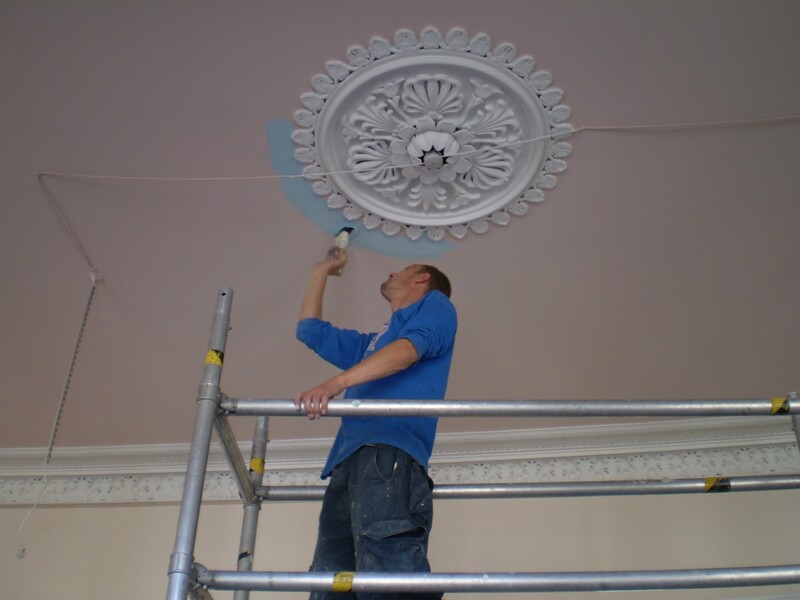 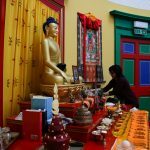 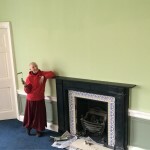 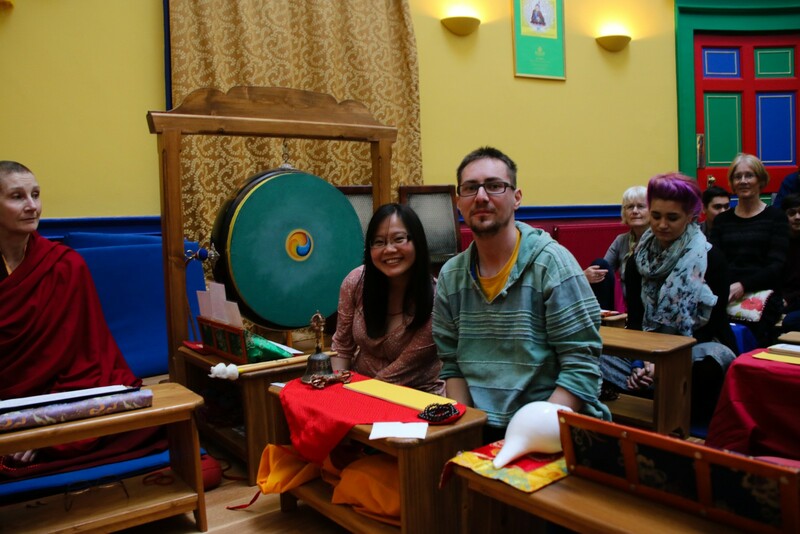 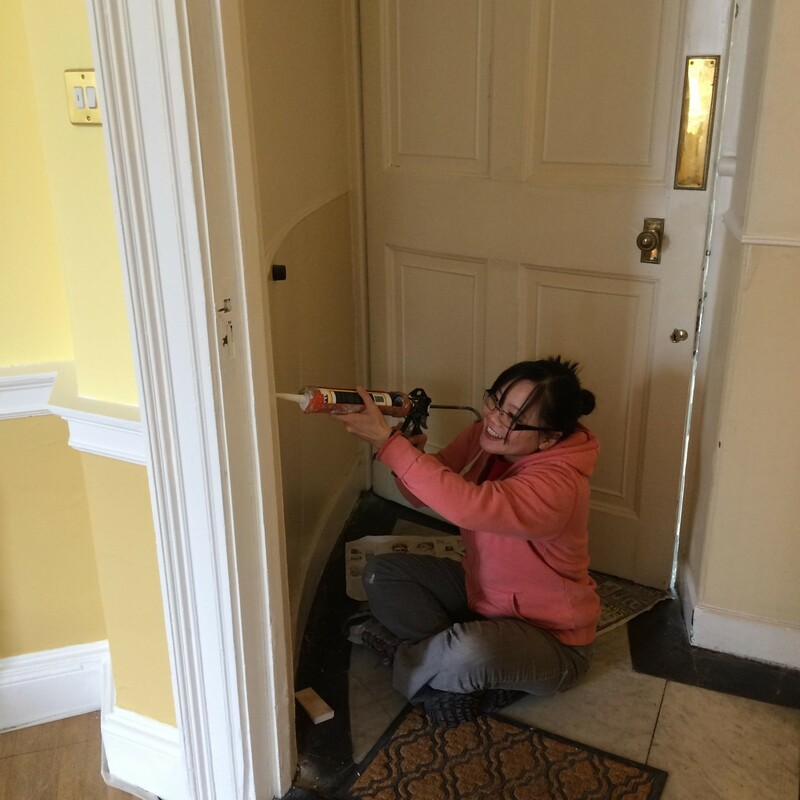 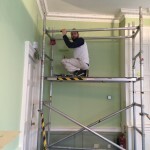 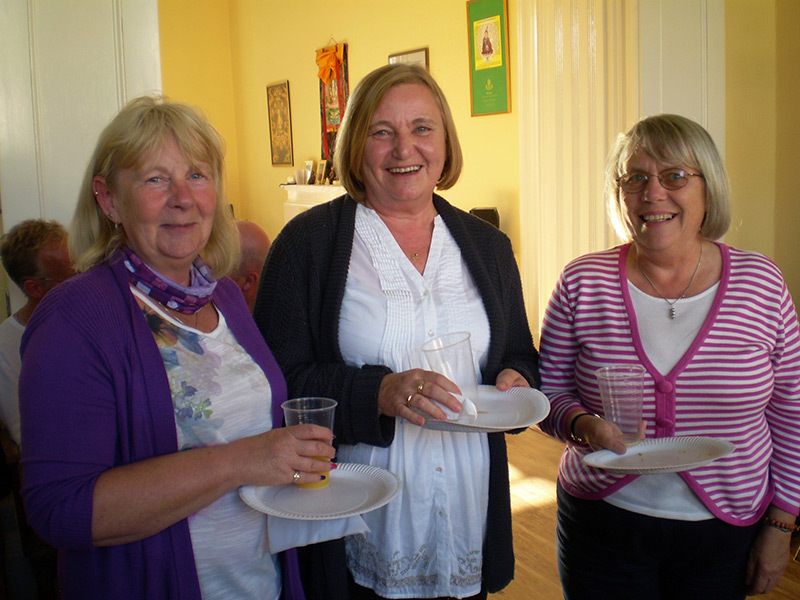 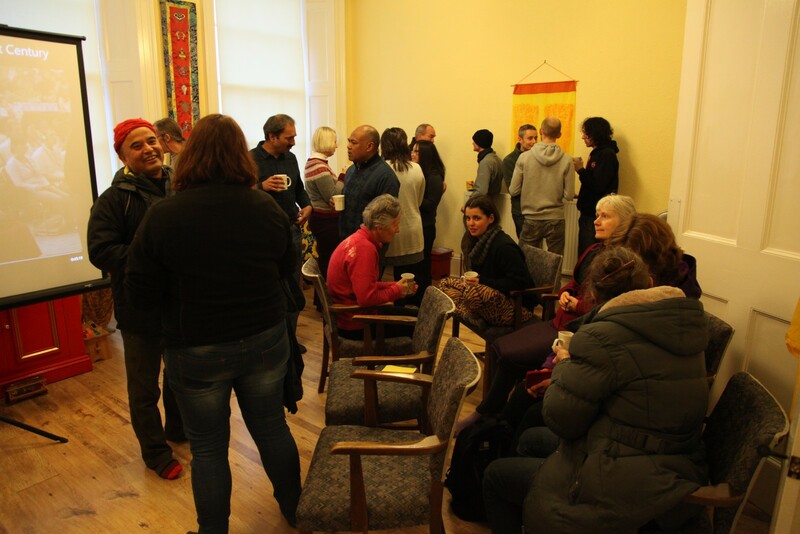 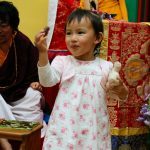 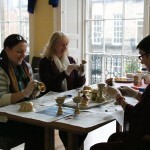 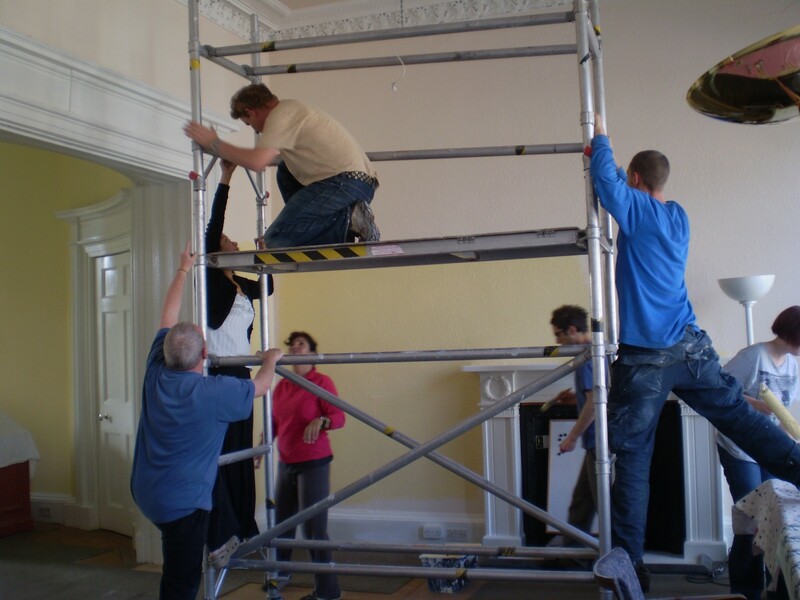 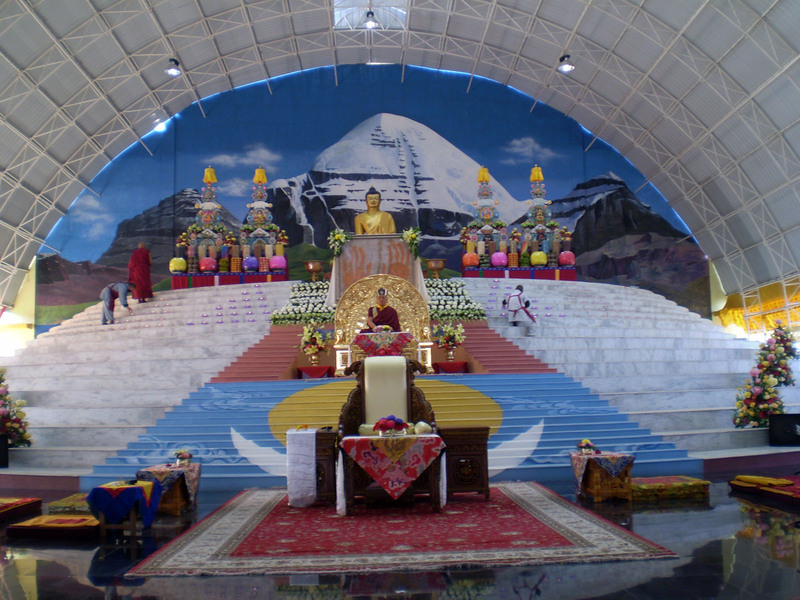 A collection of photos taken between 2010 and 2011 during preparations for the opening of the Kagyu Samye Dzong Edinburgh centre.